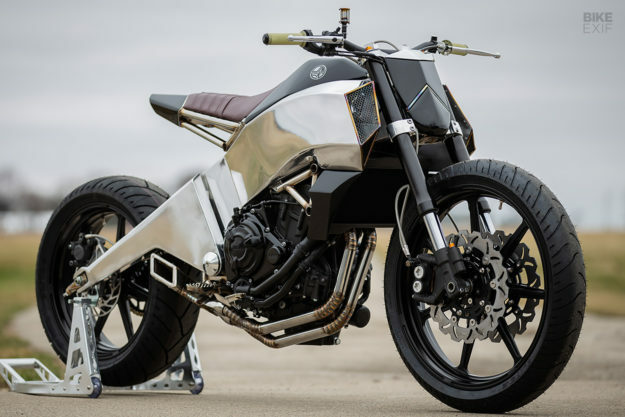 After literally killing his Kawasaki KLR650 Fort Nine’s “tell it like it is” vlogger Ryan Kluftinger has resurrected the bike in a mere 15 minutes. 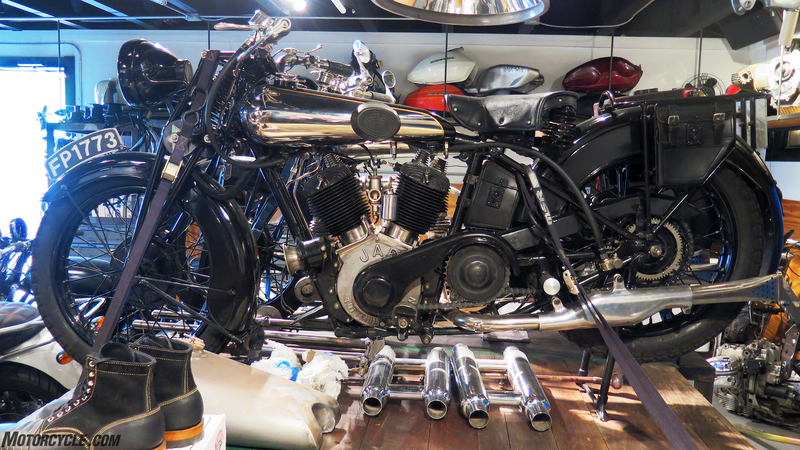 Well, actually there’s no telling how long it actually took him to tear down and rebuild the entire bike. However, they’ve crammed the whole rebuild process into 15 minutes making it much more consumable and vastly more entertaining to watch than in real time. 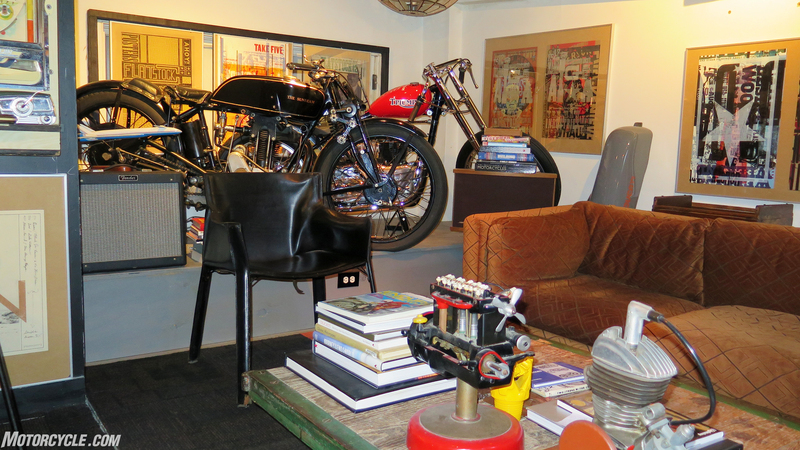 So for this edition of our ‘Sunday Screening’ sit back and relax while Ryan F9 resurrects his KLR650 from the dead. 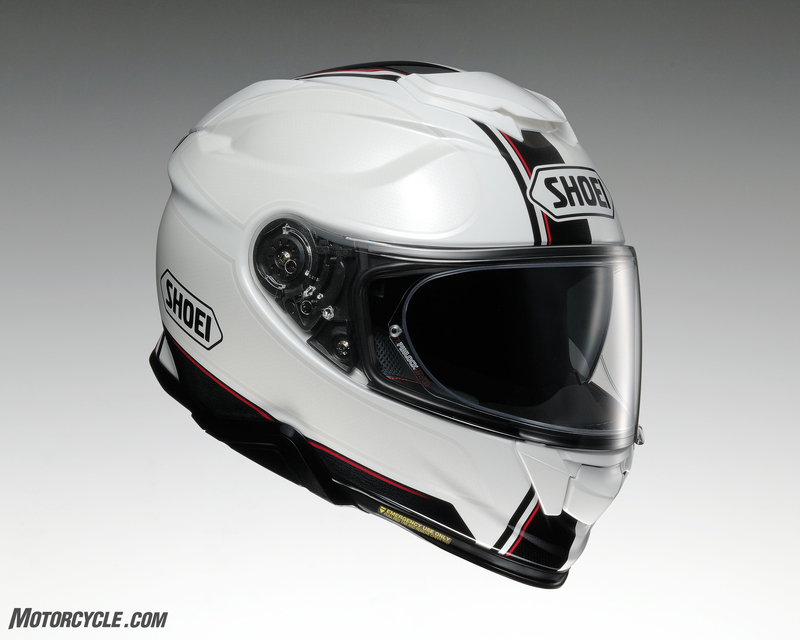 Has it really been six years since the Shoei GT-Air helmet was released? Well, it has, and that means the lid was due for an update – even though, when Troy tested it back in 2017, he said, “[T]he Shoei GT-Air really impresses when it comes to all-day touring comfort. It’s got all the features you’d want from a helmet, with the fit to match.” Using the previous generation as the starting point, Shoei’s designers set out to improve on the already top-notch lid. The result is the brand new Shoei GT-Air II, which ups the ante when it comes to premium touring/sport-touring helmet comfort and utility. 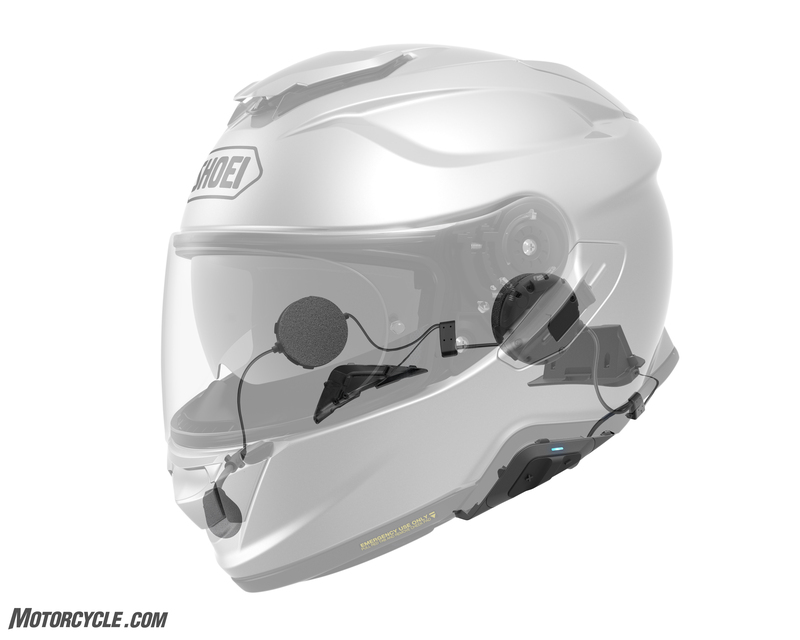 To make the helmet even more enticing, Shoei partnered with Sena, as with the Shoei Neotec II, to create a fully-integrated Bluetooth communication system, the Sena SRL2. All helmets legally sold in the United States must meet a set standard to get their DOT seal of approval. However, there’s much more to a premium helmet, like a Shoei. Typically, what separates the wheat from the chaff in a street-legal helmet is the relationship between the helmet’s aerodynamics, its comfort features, and its noise levels. Skimp on any one of these features, and the rider’s experience when wearing the helmet is diminished. Getting the best in all three categories requires more development and higher production costs, which ultimately lead to a more expensive helmet than those bargain basement models that seek only to meet the minimum DOT requirements. The Shoei GT-Air II fits my medium- to long-oval head almost perfectly. It is exceptionally comfortable over the course of a long day. When creating the GT-Air II, Shoei’s engineers made subtle-but-noticeable changes to all three areas of the helmet’s function. Taken individually, the changes might not seem like much, but they combine to produce a helmet that is noticeably improved from its predecessor. 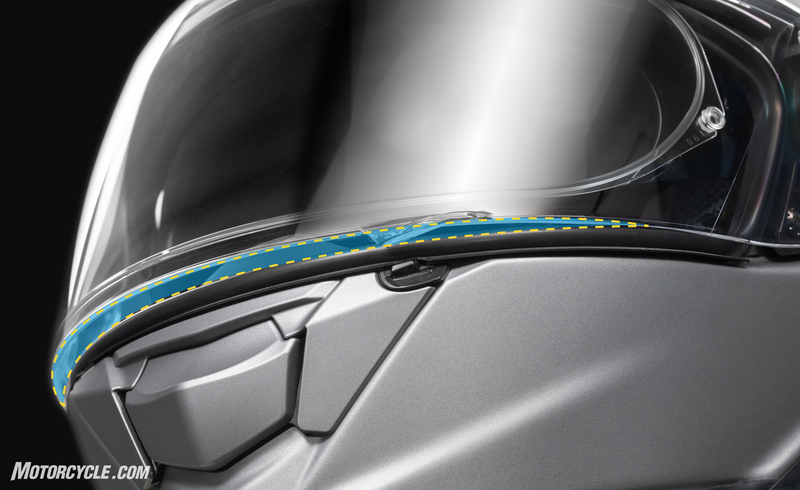 We’ll begin with the most important feature of a motorcycle helmet – aside from the DOT certification – its aerodynamics. Having a helmet that cuts through the air efficiently is important. You don’t want a poorly designed helmet to transmit any unnecessary forces to your neck as you ride. While retaining the same overall look of the original GT-Air, the update has a clearly more angular, aggressive style to it, but Shoei says those changes were dictated by wind tunnel testing, not just styling. Since the GT-Air II is designed for touring and sport-touring riders, the helmet shape was tested in both an upright and slightly leaned forward orientation. My time with the helmet on both standard bikes and those with a sportier riding position have borne out this claim. The helmet stays planted on my head with no lift at speeds that will probably get you arrested. Similarly, turning your head to check blind spots result in a stable head position with no unexpected pulls on the neck. Smooth airflow around the helmet is key to noise reduction. Note how the lip at the bottom of the chin bar directs air from the helmet opening at its base. Also, the hole required for the sun visor’s actuating slider is significantly smaller, letting in less noise. However, there’s more to a helmet’s relationship to the airflow at speed than just how it slices through it. For the GT-Air II upgrade, the visor baseplate system was completely redesigned. While utilizing the same CNS-1 shield as before, the baseplate combines with similar beading around the eye-port that the Shoei X-Fourteen uses. However, the big news is the new baseplate that the visor mounts to. It is spring-loaded to actually pull the visor tightly against the beading to create an air-tight seal, thus eliminating any whistles that can be caused by this air intrusion. When you close the visor, you can actually feel it lock into place. Perhaps the biggest news with the improved baseplate, however, is the inclusion of a new venting position. Whereas the previous generation GT-Air opened the visor enough to stick a finger or two between the visor and chin bar, the new baseplate only opens enough to allow a little air in. This can be quite helpful in cooler weather. 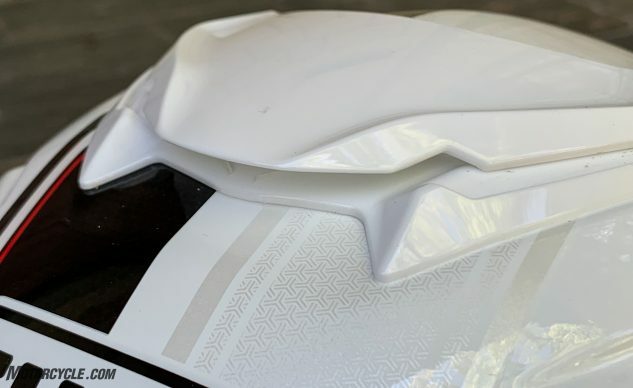 Although the CNS-1 shield features mounting posts for the included PinLock visor insert, fogging can still be a problem for the internal sun visor or the rider’s glasses. The new opening allows just enough airflow for defogging. Really a nice touch and one I’d been requesting for a long time. While the Pinlock insert on the visor can help prevent fogging, it does nothing for the rider’s glasses or the internal sun visor. This little opening makes all the difference when riding at low speeds. Finally, a small inclusion to the outside of the helmet can have a noticeable effect on a helmet’s quietness. 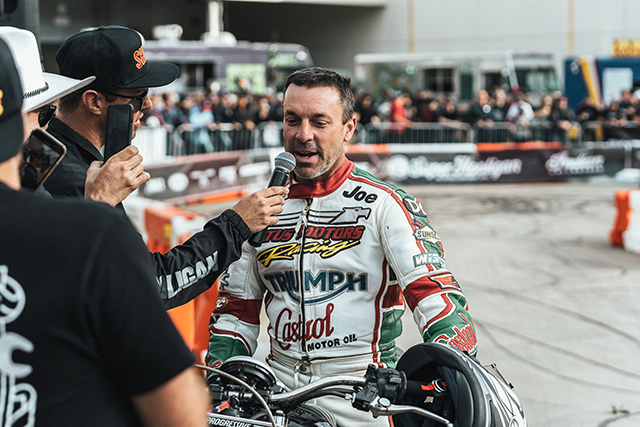 On the lower edge of the chin bar, a lip that protrudes into the airflow no more than a millimeter or two, according to Shoei, prevents turbulence from creating noise that enters through the bottom opening of the helmet. Having a tinted visor on sunny days is a huge quality of life issue if you’re spending more than a few hours in the saddle. Eventually though, the sun does set, necessitating a visor change, or you’ll be half-blind out on the road. While the GT-Air’s internal sun visor alleviated the need to carry an extra visor, many riders felt that the sun visor didn’t extend far enough down to prevent glare from entering from underneath it. Shoei listened, and the GT-Air II’s sun visor extends 5 mm lower. Although this may not sound like much, when it is this close to your eyes, it makes a world of difference. If you’re unhappy with this change, Shoei included two little levers in the bottom rear corners of the helmet’s eye port that prevent the sun visor from lowering that final 5 mm. (Note for GT-Air owners: The new sun visor will fit your helmet, but it will not extend any lower into your field of vision. Sorry.) 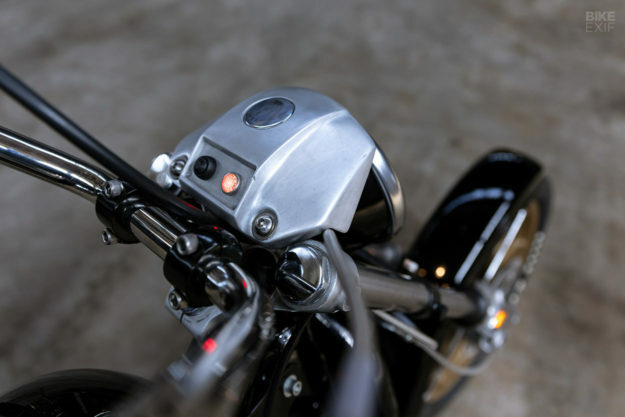 Also, the opening in the helmet shell required for the lever that actuates the sun visor has been reduced in size to lessen the exterior noise that the slider allows to the rider’s ears. The sun visor may only extend 5 mm lower than before, but it makes a world of difference in blocking out glare. With every helmet update, one of Shoei’s stated goals is to improve ventilation without negatively affecting the noise level of the helmet. The GT-Air II is no different. The opening in the chin bar is larger and directs the air over the inside of the visor, where the air circulates around in front of the rider’s face, providing cooling. At the top of the head, two vents catch the airflow and channel the air to the helmet interior. A redesigned air intake shutter has three positions closed, half-open, and fully-open. The shutter itself is easy to find and manipulate with a gloved hand, meaning cooling can be adjusted on-the-go. The five exhaust vents are always open. The GT-Air II’s top vent seems to catch the air and scoop it into the openings in the shell – all without any real noise consequence. 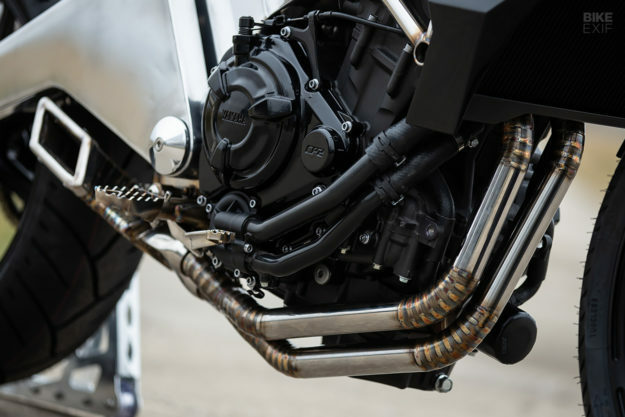 My experience with the GT-Air II’s venting is that it is much easier to open the single top vent slider than the hard-to-find dual ones on the Shoei RF-1200 or the difficult to slide one on the Shoei Neotec II. Additionally, the slider’s shape, with its protruding peak, seems to actively catch the air and funnel it into the two top intake ports. In my side-by-side testing with the RF-1200, there appears to be no noise penalty with this setup, while still providing increased airflow. The improved ventilation will be appreciated since the bottom of the helmet is just as snug going on as with the previous generation. 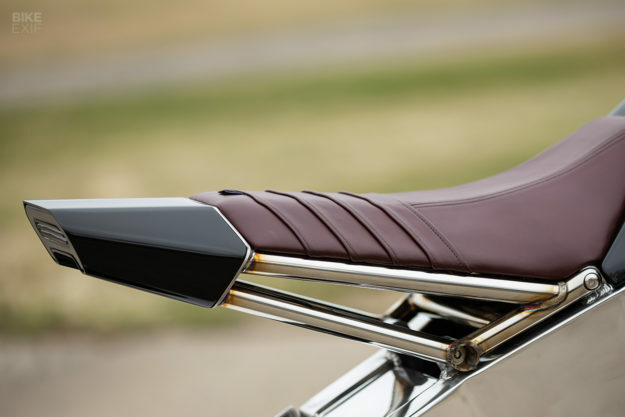 The opening is as small as possible to help keep wind noise away from the rider’s ears. 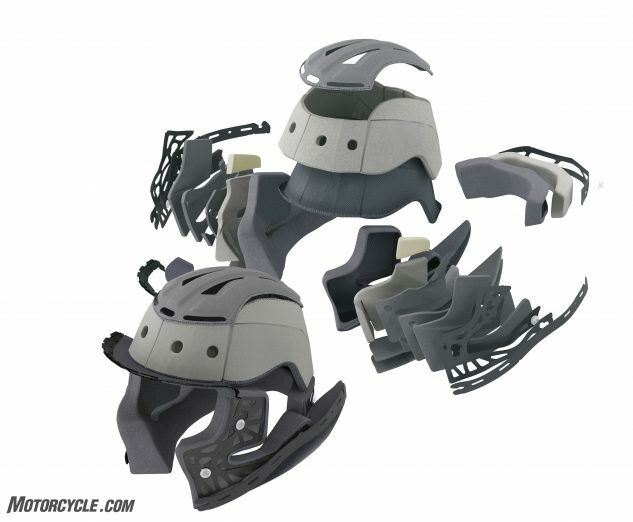 Once you’ve squeezed your noggin into the helmet, though, you’ll be coddled by the removable, washable, and supremely comfortable 3D Max-Dry Interior System. Shoei claims the liner is capable of dissipating sweat twice as fast as less-specialized nylon interiors. The multi-layered cheek pads wrap themselves to your facial shape to help seal out noise. Accessory thinner or thicker ones are available to customize your fit. You won’t get attention to liner detail like this in a bargain helmet. If your GT-Air II gets a case of the funk, you can just wash the liner. The net result of all these small changes in the GT-Air II is that the helmet is pretty dang quiet. 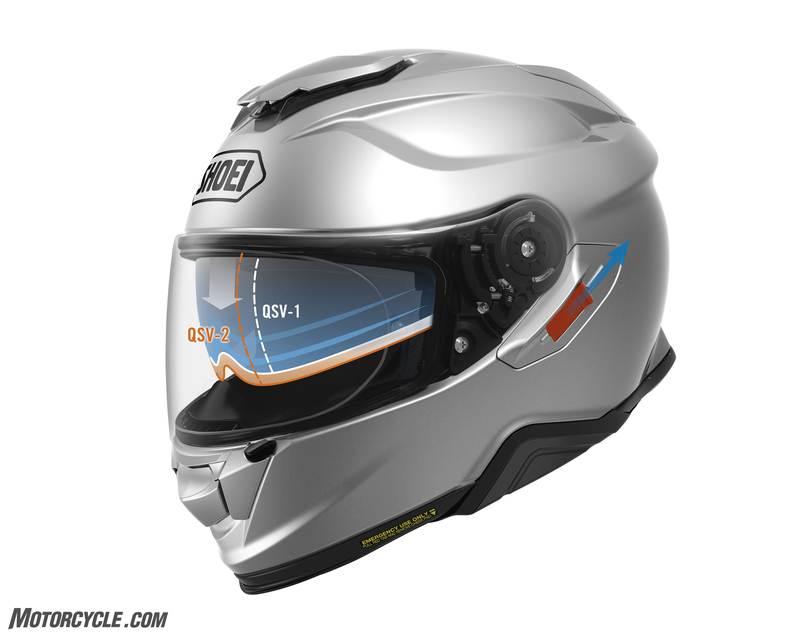 I would rate it on par with my quietest helmet, the Shoei RF-1200 with its vents closed. That bit of information aside, I still recommend that you always ride with earplugs to protect your hearing. Even the quietest of helmets has to deal with hurricane force winds on the highway. The convenience of the ratcheting buckle can’t be overstated. For those of you who worry, when it has clicked once into place, two stainless steel teeth are securing the buckle. I still let it click twice, just to be safe. 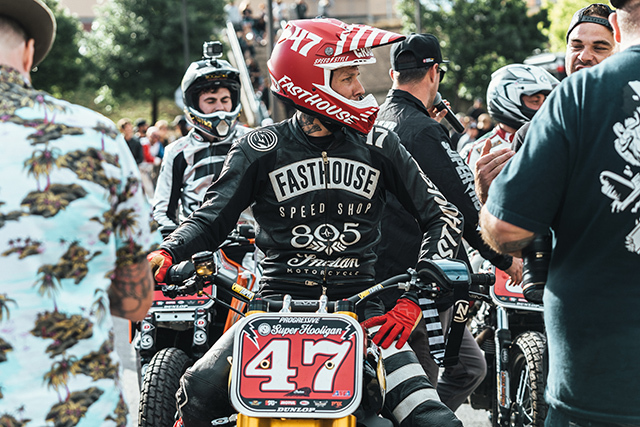 Everything from the exterior finish to the new micro-ratchet chin strap that replaces the traditional double-D ring says that Shoei helmets are premium gear. What you can’t see under the flashy paint is the Multi-Ply Matrix AIM Shell construction, which combines layers of “fiberglass with lightweight organic and high-performance fibers” for lightness, strength, and slight elasticity to absorb impacts. Underneath that shell is the Multi-Piece/Multi-Density EPS Liner that, using Shoei’s varying-density foam, provides impact protection tuned to the amount required for its location and creates the channels for cooling air to flow through. One good reason to be happy that the GT-Air II is a quiet helmet is that Sena and Shoei teamed up to integrate a Bluetooth communication system into the helmet. Now, you can have Siri whisper directions into your ears without an ugly goiter on the outside of your helmet. I wish the center button were just a little taller to make it easier to find with a gloved finger. After that, the system is easy to use, and you can perform almost any function you need with your voice, if you know the correct command. Built with a similar feature set to the venerable Sena 20S Bluetooth communicator, the Sena SRL2 was custom made to fit inside the GT-Air II. While some may complain that the SRL2 eschews the new mesh technology for older Bluetooth tech, I’m willing to bet that the vast majority of riders primarily use their helmet communicators for more mundane tasks like listening to music, receiving directions, or making phone calls. So, this choice helps to keep the price down. When it comes time to ride with a group, the SRL2 can connect to up to 7 other riders via Bluetooth. Yes, this has some limitations compared to mesh, but that’s a discussion for another time. Installing the SRL2 couldn’t be any easier. First, you remove the plastic covers on the helmet. The components simply snap into place. The microphone even has its own pocket in the chin bar with wire routing modes into the interior. No more tape required to keep the wires tidy! 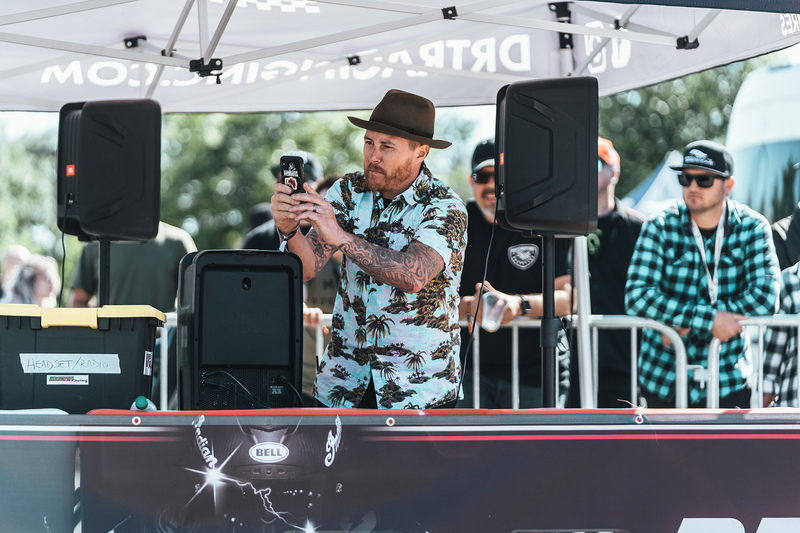 With communication systems becoming more popular, it’s only natural for the helmet and communicator manufacturers to work together to deliver optimal speaker performance and avoid messing up the helmet’s aerodynamics. The speakers snap into place, and their location would be my only complaint about the SRL2. Placement of the speaker directly over the rider’s ear canal opening is paramount to getting the best audio out of a helmet communication system. While I’m sure that Shoei and Sena worked hard at the correct placement – on average – people’s ears are located in slightly different places on their heads. In all of my prior installations of add-on communicators, I’ve ended up placing my speakers partially forward of the helmets’ speaker pockets (this is true for Arai, Bell, and Shoei). Maybe my ears are in a funny place, but I’d like it if there were some adjustability in the speaker location. That said, with the Audio Boost in the settings turned on and the Smart Volume Control set to medium, the sound is plenty loud for me to hear directions and music at highway speeds on a naked bike – while wearing my favorite earplugs. People I have talked to while riding have said that they can hear me clearly. I have not had the opportunity to test the intercom feature, but as a long-time fan of the Sena 20S, I expect it to work quite well. My only functional issue with the SRL2 is the same one I’ve had with the 20S, namely, the voice command feature can be hit and miss at elevated speeds. Well, that and the fact that there is no voice command to invoke Siri or Google phone controls. As someone who doesn’t like to ride without a helmet communicator, I think the $299 price for the SRL2 is worth it for the convenience. My time with the Shoei GT-Air II has shown it to have the quality of construction that I’ve come to expect from the manufacturer. This quality does, however, have a cost. The solid color GT-Air IIs retail for $599. Graphic versions, like the Redux TC-6 tested here, carry a $699 price tag. What you get for that money, though, is a comfortable, quiet helmet that can easily be worn all day. 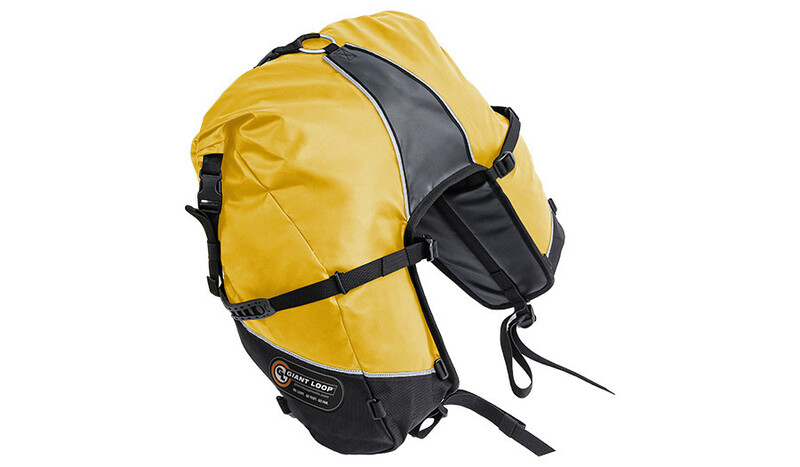 The GT-Air is available in sizes XS-XXL encased in three shell sizes (XS-S, M-L, and XL-XXL). 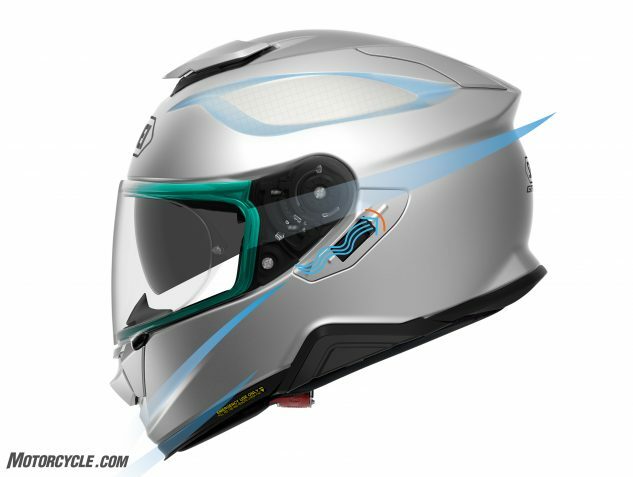 The ventilation is very good, and the new first notch on the visor offers great low-speed ventilation. The included micro-ratchet chin strap fastener will make you wonder why more manufacturers don’t include them with their helmets. The fit and finish is what you’d expect from a premium helmet. Having the option to install the integrated Sena SRL2 brings even more utility to the helmet without compromising its looks or aerodynamics. The post MO Tested: Shoei GT-Air II + Sena SRL2 Review appeared first on Motorcycle.com. 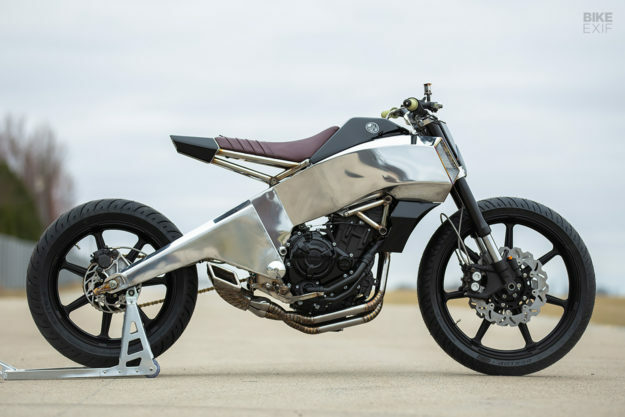 Motorcycle News - Bodacious: An 80s style Iron 1200 from Prism Supply Co. 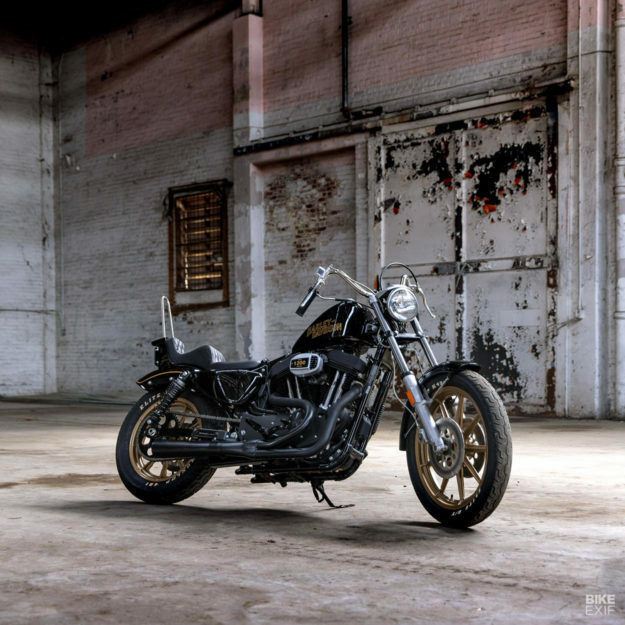 Despite being steeped in the custom scene, Harley-Davidson doesn’t often donate bikes to custom builders. 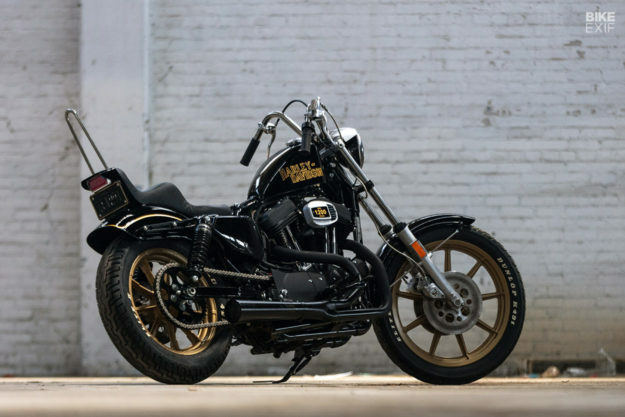 So this Sportster Iron 1200 from Prism Supply Co., dripping with early 80s style, is something of a rarity. It’s a Sporty with an impeccable pedigree: brothers Zach and Jake Hindes built it with input from Dean Micetich of DicE magazine. The Sportster must be the most customized motorcycle platform around the world, but Prism have delivered something special without firing up the grinder. It’s a helluva transformation, thanks to some very clever decision-making. 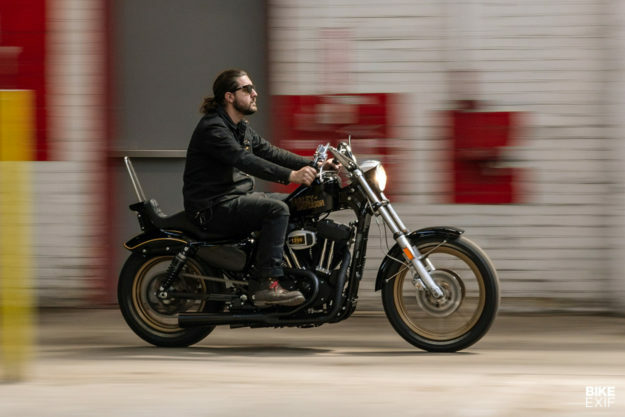 Prism sourced a bunch of early 80s parts to replace the ditched components—notably a dual disc Super Glide front end, which Zach and Jake modified to fit the 2019-spec Iron 1200. The final version is shorter, and according to the Prism boys, a much cleaner result. Wes from Counterbalance Cycles handled the upholstery, going for a subtle approach with black leather and classic diamond stitching. Topping off the rear end is Prism’s own version of the old style ‘Chopper Box light’. 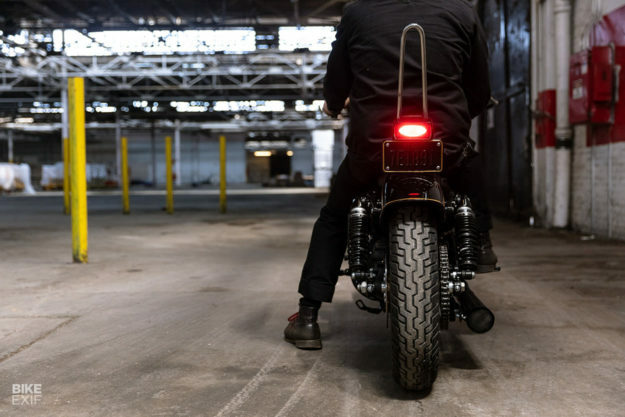 This one hides a dual function LED cluster, acting as both a brake light and a running light. Sitting atop the frame is a Frisco-style gas tank from Throttle Addiction, which is modified to hide the EFI pump and a snake’s nest of wiring. 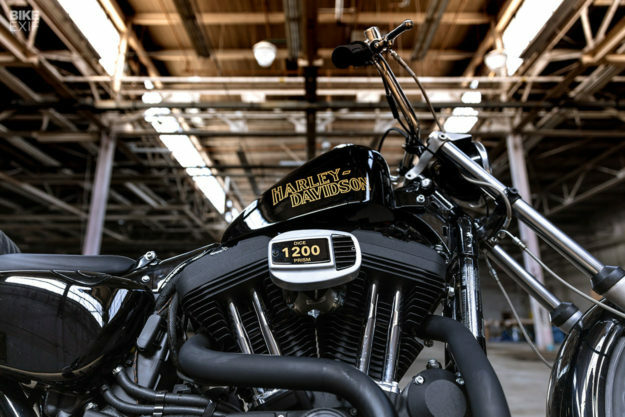 Zach and Jake’s younger brother Caleb applied the glossy black paint and the classic Harley logo. The wheels look aftermarket but are stock—thanks to a lick of gold paint. 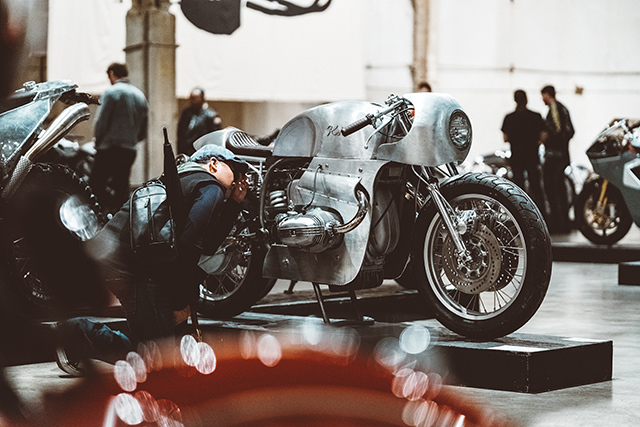 The visible wiring has been upgraded to Prism’s own vintage cloth-covered 16g wire, and Zach and Jake also raided their own catalog for the ‘Cyclone’ bars with Biltwell risers. 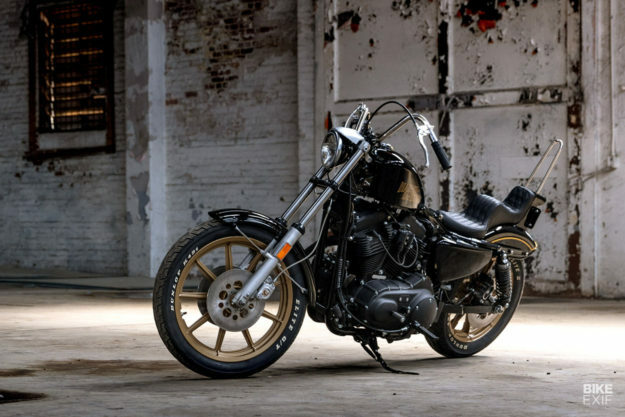 They’re fitted with Kustom Tech hand controls and DicE grips that match the retro aesthetic of the Sportster. 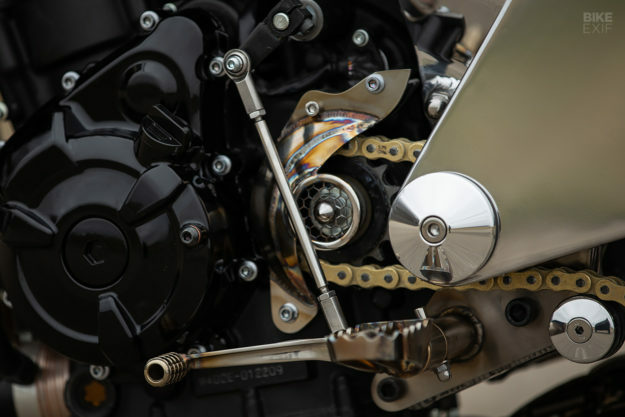 The 1200 versions of current Sportster engines have plenty of grunt for most riders—specifically 97 Nm of torque—so Prism have avoided breaking open the engine cases. They’ve simply installed a classy Mini Ham Can air cleaner from LC Fabrications and a megaphone-style exhaust from Lowbrow Customs—with around six inches trimmed off, so it terminates just ahead of the rear axle. 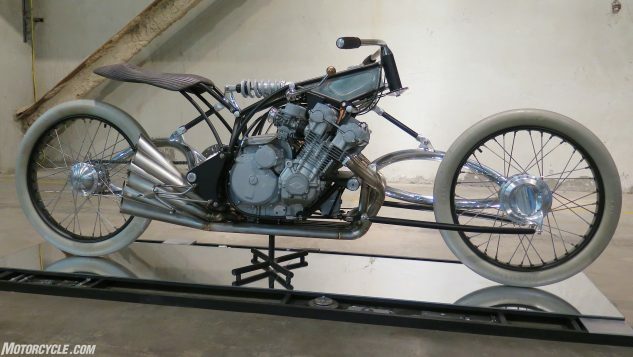 The pegs are from Biltwell, who also supplied the throttle. 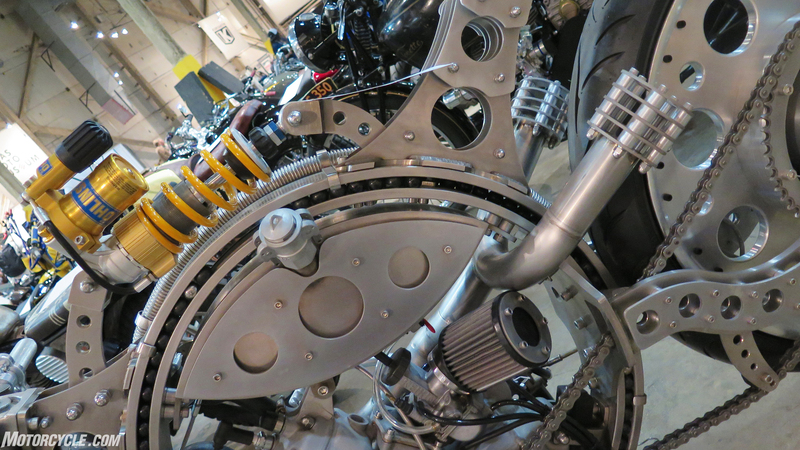 A more obvious change is a switch to a traditional chain drive—a Prism prototype system that will soon become a production part. It all hangs together as beautifully as a prime slab of yacht rock. But Jake doesn’t take all the credit for that. 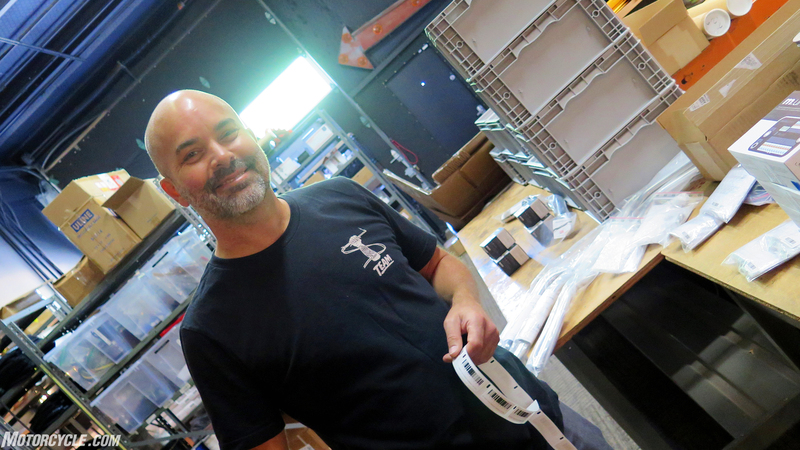 “This build wouldn’t have been possible without Dean from DicE magazine,” he admits. The Sportster was released at the Congregation motorcycle show last weekend—a show that Prism put on every year in their own backyard in Charlotte, North Carolina, in association with DicE. 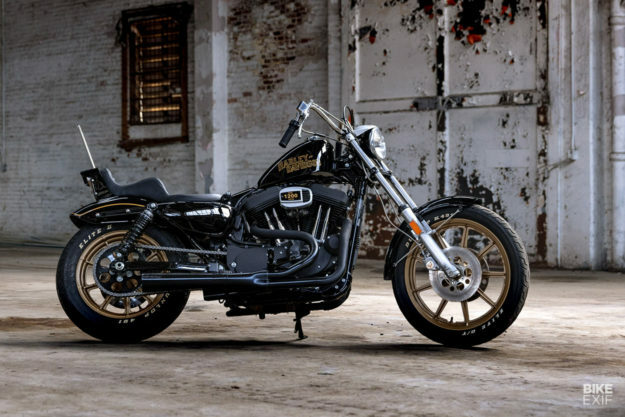 The Iron 1200 was one of the best machines on display, and one lucky show goer will soon find it in their own garage. Because this Sporty is going to be given away, with the winner announced soon. If you were at the Congregation Show, keep an eye on Prism’s social channels—and your fingers crossed. Opening day of the show! 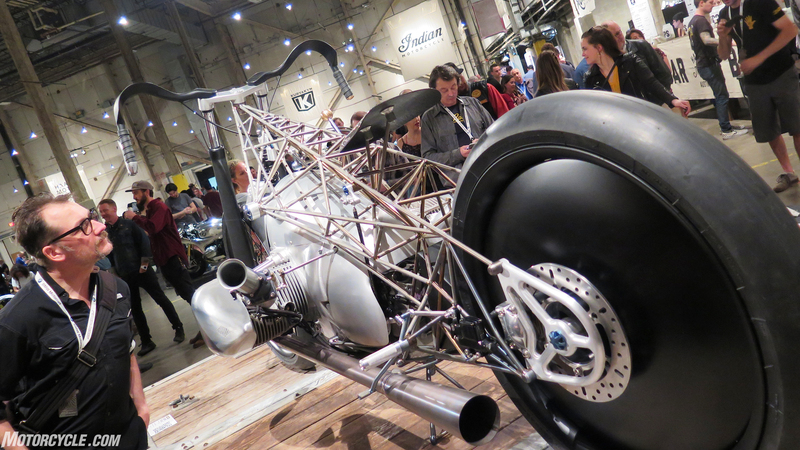 Two cups of Folgers deep, and off we went in a shuttle speeding towards Revival Cycles HQ. Alan and the gang were gracious enough to have us by for a truly inspiring shop tour and pep talk about their latest build; “The Birdcage” (read all about it here), and then off to the show! 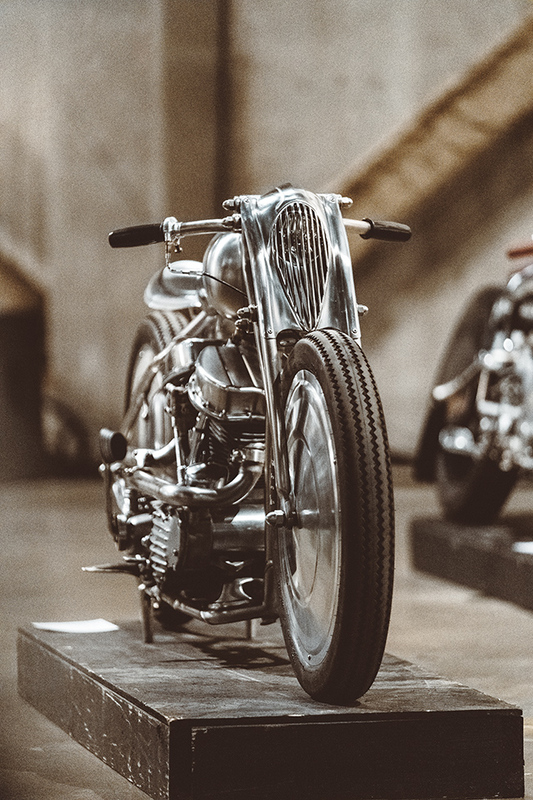 For the second year in a row, Handbuilt was held in the former Austin American Statesman warehouse. 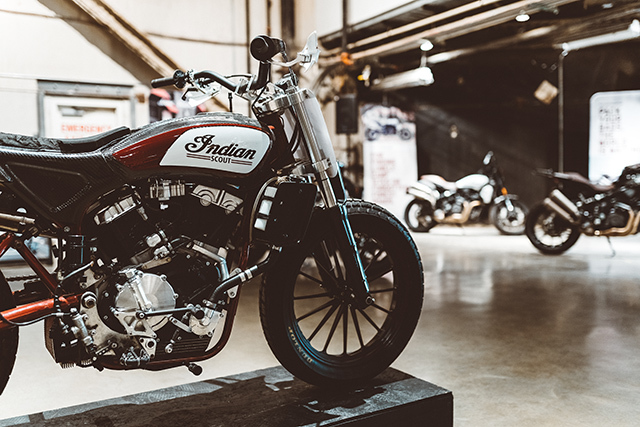 The 35,000 square ft Statesman housed more than 140 custom motorcycles this year, from some of the top builders all over the world. As we walked up to grand front entrance, the familiar scent of burnt rubber and food truck tacos danced in the air. 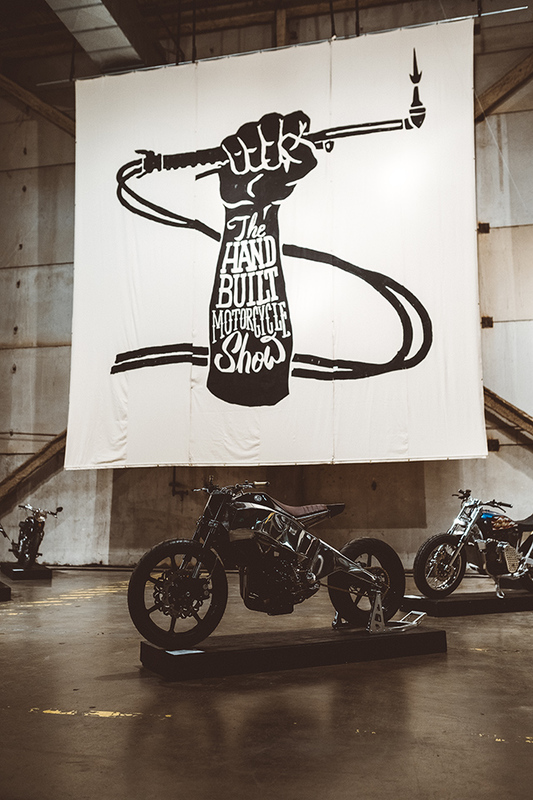 Once inside, our eyes lit up – under the 40 foot tall hand painted show banner were bikes as far as the eye could see. 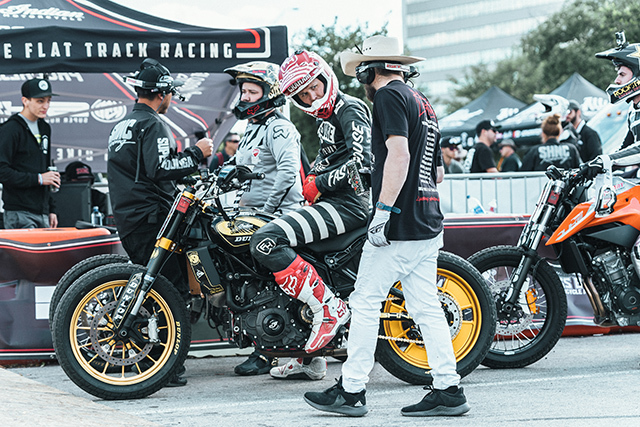 An astounding mix of bikes fit for the track, bikes fit for bouncing from bar to bar, big budget builds, single car garage builds, and everything in between. Revival’s showing – “The Birdcage” was situated in the back left corner and was drawing crowds that snaked through the show. The bikes could not have been more appropriately placed, a stone’s throw away from the beer garden. By the 5th or 6th Lone Star in, we knew we there was no way we could take it all in in one night. We reluctantly retired to our quarters, anxiously awaiting day 2 of the spectacle. No rooster needed – we awoke to the sound of screeching tires in the distance and immediately knew the Indian Motorcycles Hooligan race practice must be underway. 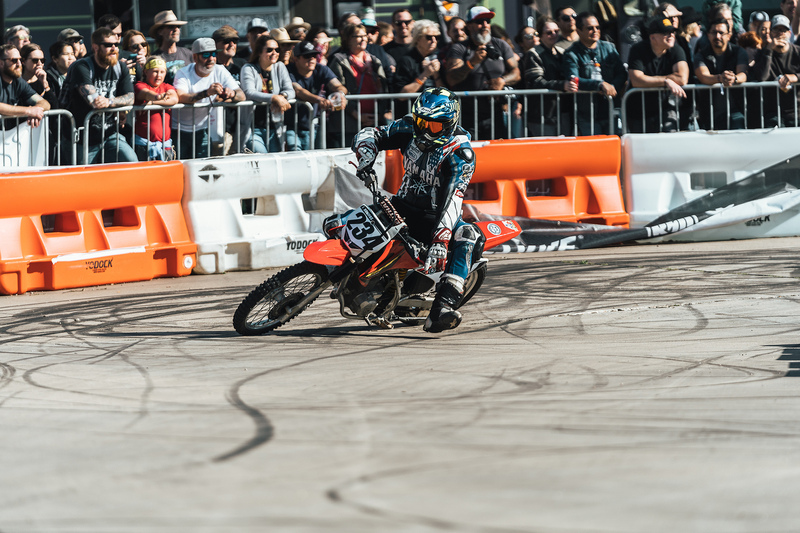 In previous years, a dirt flat track course had been created – but this year, it was pay to play. An asphalt parking lot track was constructed, and everyone from your favourite pros to the “run what ya brung” class participated. 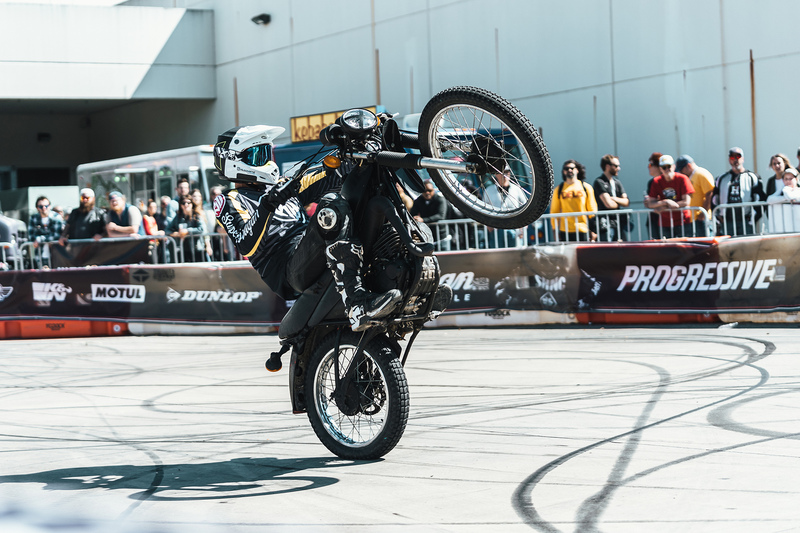 The crowd was treated to a smoky display of skill and showboating, the winners awarded with a custom Dunlop tire trophy. 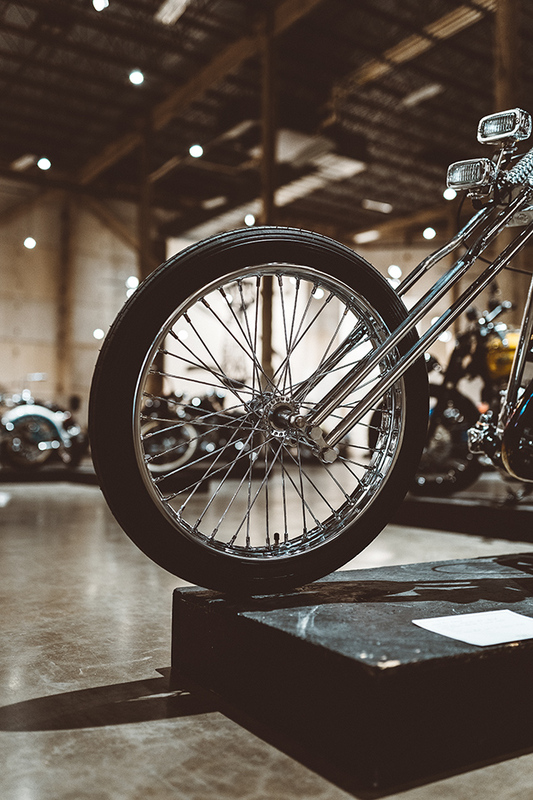 Once the dust settled, the day saw hordes of people from all walks of life trickle in and out, experiencing a window into this incredible cross-section of bike culture. The day faded into night, and a special viewing of Gareth Maxwell Roberts “Oil in the blood” was projected onto the walls, the perfect nightcap to a sensational day. 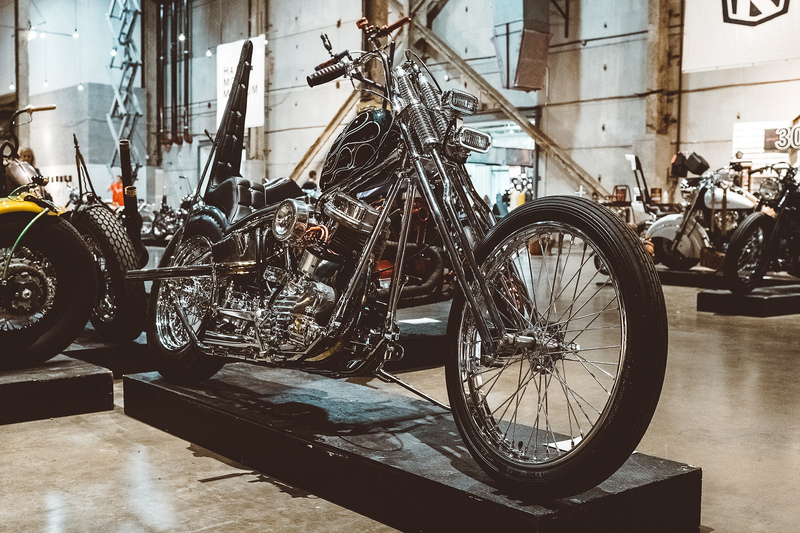 In talking to Revival founder Alan Stulberg one thing truly stuck out – his mention of seeing kids come to the show the first and second year they hosted, having never held a grinder in their lives, and now having their very own custom bike in the show, makes it all worthwhile. Huge thanks and congrats to the Revival crew on their 6th year, here’s to 60 more. Cheers. Brushed alloy is the new chrome. There are zero performance benefits from its use, but boy does it look good. The minuscule highs and lows in the metal’s surface catch the light giving it depth and change its appearance from different angles. You’ll find ample use of it on modern motorcycles like the BMW R9T, Kawasaki Z900RS and the Honda CB1000R Neo Sports Cafe. And now, thanks to Icon 1000, you can wear that same finish on your head in the form of the Icon Airflite Quicksilver helmet. Most, but not all, motorcycle luggage these days is waterproof or comes with a cover or something similar to make them so. Using waterproof luggage guarantees your belongings will stay dry and, in general, better protected from the outside elements. When touring, this is more or less a crucial requirement because the weather can change in an instance. Even for daily use, it’s good to know your belongings will stay dry in the event of a surprise Spring shower on your way to work. There are plenty of options on the market for all sorts of motorcycles. 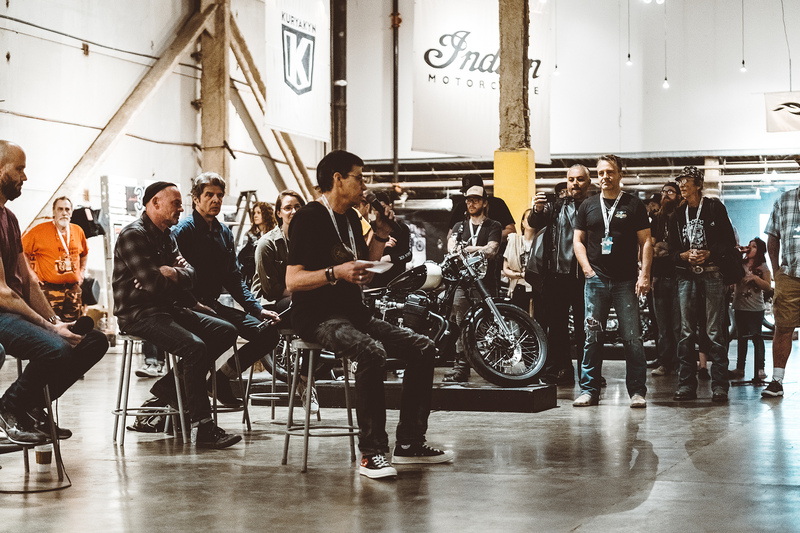 We chose eight of the best companies in the game to showcase some of their waterproof products while also highlighting hard and soft options for waterproof motorcycle luggage. 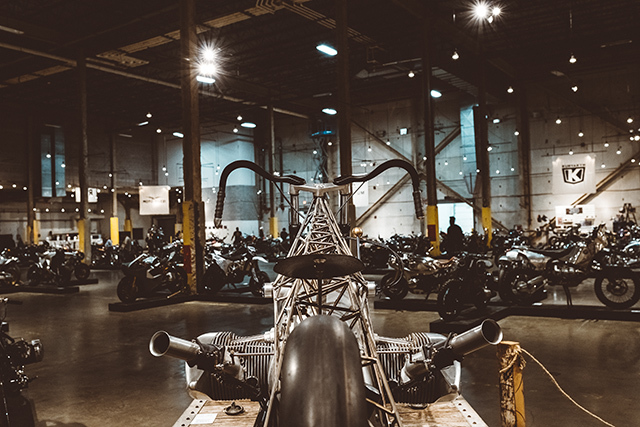 Family owned and operated, Wolfman Motorcycle Luggage makes all of its products in the US. They manufacture everything from tank bags to tail bags, with off-road and on-road offerings. The latest drop from the Colorado-based luggage company is the Unrack system. This allows users to fine-tune their luggage requirements to the specific size, and style needed for the trip at hand. 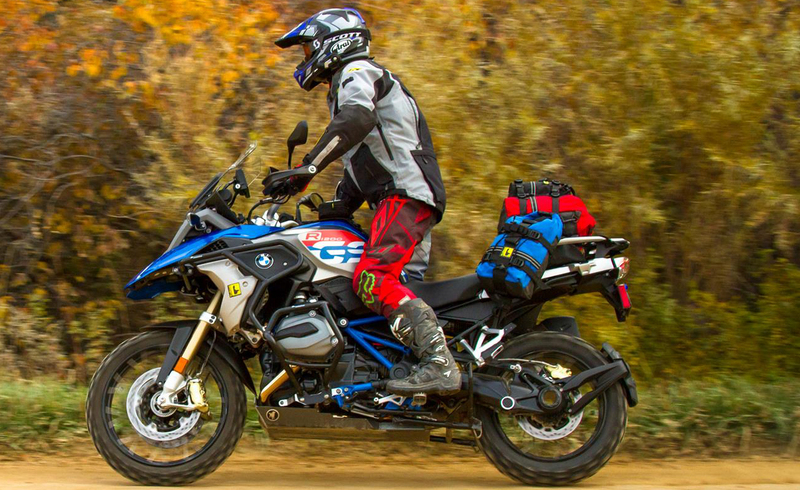 The Unrack system uses a base, of which there are two sizes, that stays on the motorcycle and lets the rider choose from a variety of other Wolfman bags, such as the 100 % waterproof Rolie dry bags, in a sort of modular fashion. Wolfman accessories, like the Bottle Holster, can also be attached as the adventure deems necessary. The base for the system starts at $199.99 with the configurable bags starting at $84.99. The Wolfman Unrack System offers flexibility for a wide swath of riding needs. Aluminum waterproof lockable hard cases. A staple in the adventure segment, the Zega Pro series can be had in bare aluminum, anodized silver, and black. Two sizes of side cases are available, 31/38L or 38/45L with top cases available in 25L and 38L capacities. 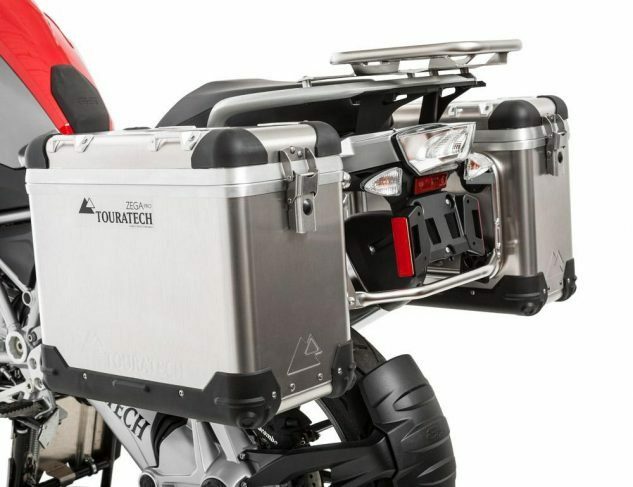 The Touratech cases are different sizes to accommodate high-mounted exhausts. 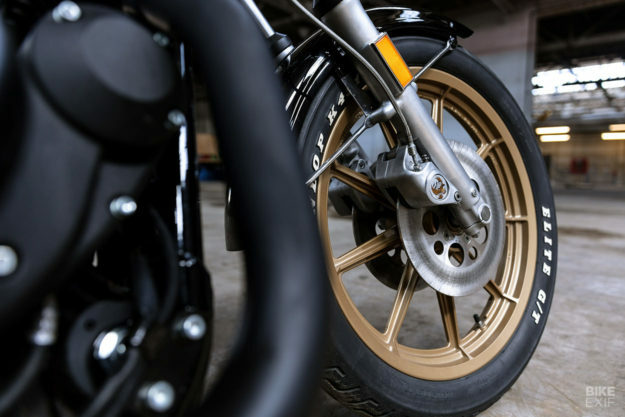 The Zega Pros are durable, waterproof, easy to remove and can be locked closed, and locked to the motorcycle (with the purchase of the separate locking kits). For $1349.00 for the side case system and 679.00 for the topcase system, they’re not cheap, but hey, someone has to pay all of those German engineers. Giant Loop is well-known for its robust soft luggage but perhaps is best known for its versatile rackless motorcycle luggage, like the Great Basin. While the Great Basin shell itself is only water-resistant, the bag comes with three RF welded inner liner dry pods with air release valves to allow riders to compress the pods. The U-shaped bag allows it to be thrown over a back seat or rear rack and be tied down to nearly any motorcycle. The Great Basin offers a cavernous 68-liters of packable storage and comes in at the fair price of $450.00. As with all Giant Loop products, the Great Basin is made in the USA and carries a lifetime limited warranty. 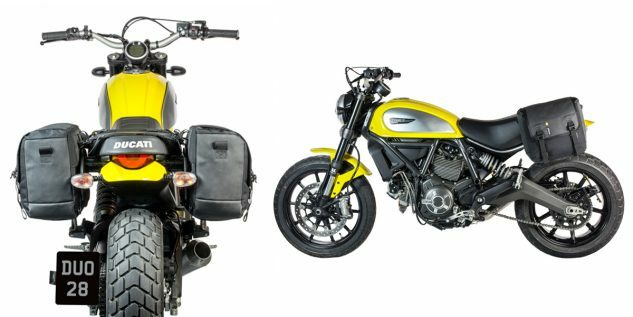 Kriega has expanded from rider packs to modular tail bag systems and, now, to soft luggage for both adventure and off-road motorcycles, as well as classically styled bikes like the Scrambler above. The new DUO and SOLO saddlebags are designed for users who are looking for a single bag setup or the standard two-bag saddlebags. These saddlebags offer durable waterproof construction with a roll-top closure and materials such as Hypalon+1000D Cordura, Kevlar, and alloy buckles, which should hold up well through the rigors of daily use. The Kriega DUO saddlebags are available in 28L and 36L capacities with the SOLO bags available in 14L and 18L. 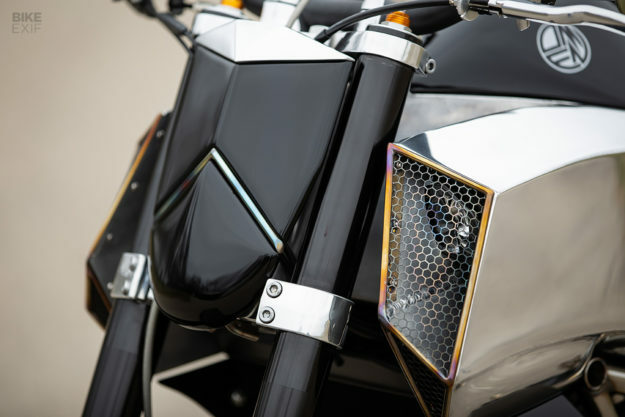 These saddlebags mount over the rear seat of the motorcycle, though to ensure a proper fit, a side rack of some sort is recommended to strap them down. The SOLO and DUO bags start at $235 and $375, respectively. Founded by former Italian GP racer Giuseppe Visenzi, GIVI has been in the motorcycle accessory game since 1978. 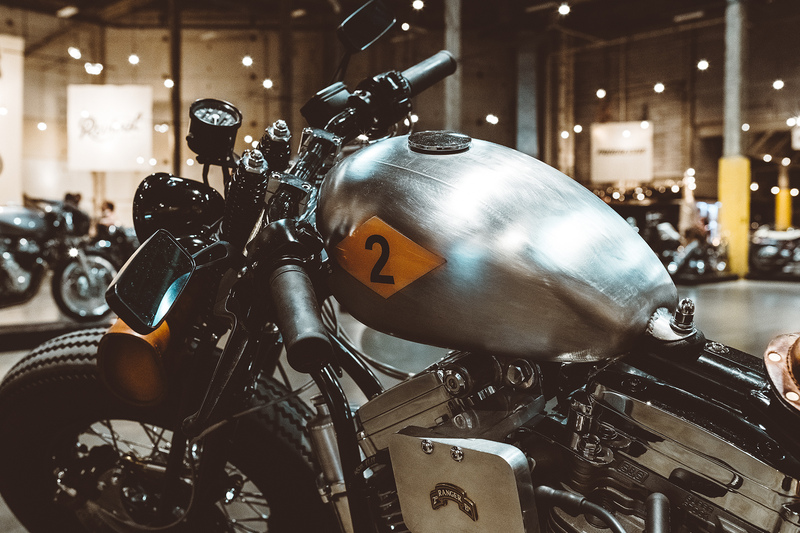 The Italian company currently manufactures hard and soft luggage for all types of motorcycles as well as accessories like engine guards, hand protectors, radiator guards, and more. The GIVI V37 Monokey series is just one example of the company’s sleek and sporty hard cases. 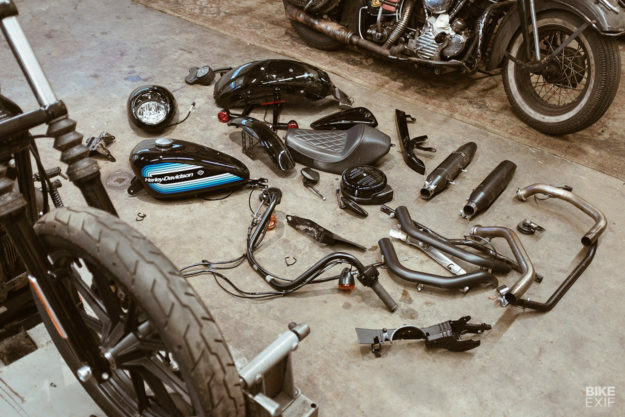 The Monokey system lets riders use a single key to open and remove the cases rather than having separate keys for each. Sold as a pair, the V37 Monokey has 37L of storage per case and is said to be able to fit a modular helmet in each case. 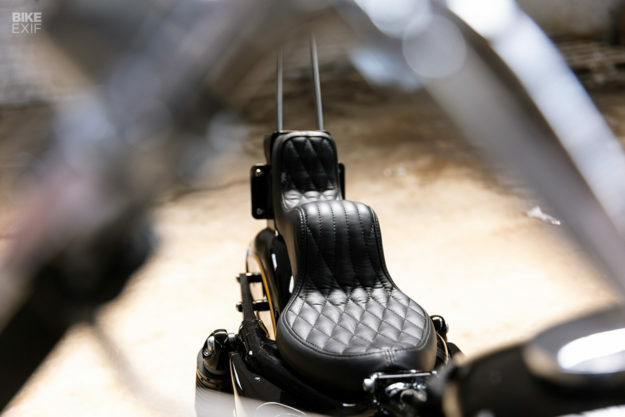 The shape of the cases themselves are also carefully molded to ensure comfort for the rider and passenger. A matching top case is also available. Locking and entirely waterproof, the GIVI V37 retails for $599.00 per pair and gives OEM-level looks and fitment. The Aqua T-70 Roll Bag from Oxford Products is a fairly standard no frills piece of waterproof motorcycle luggage perfect for those looking for a simple weatherproof option. The duffel-style roll-top bag features internal and external pockets, welded seams and waterproof zippers, reflective details for added visibility in inclement weather, and 70L of storage capacity. To attached, simply use the provided straps to ratchet it down to wherever your motorcycle will allow. At $109.95, it’s also one of the best-priced bags on the list. The Spanish brand may not be as well known in the States as others, but Shad has been making and licensing OEM cases for years. The SH36 is shaped specifically to be able to be able to hold an XXL full-face helmet in each case. The SH36 is fully waterproof, lockable, impact resistant, and holds 36L of storage per case. In order to mount these cases, you will need the Shad specific 3P mounting system. The Shad SH36 is sold in pairs and retails for $525.00. The SW Motech Speedpack tail bag is a monster piece of luggage, delivering 90L of storage capacity for the rider who wants to bring everything and the kitchen sink. The shell of this big boy is not waterproof itself but comes with three waterproof inner bags to keep all of your things – because you can fit all of the belongings – dry. 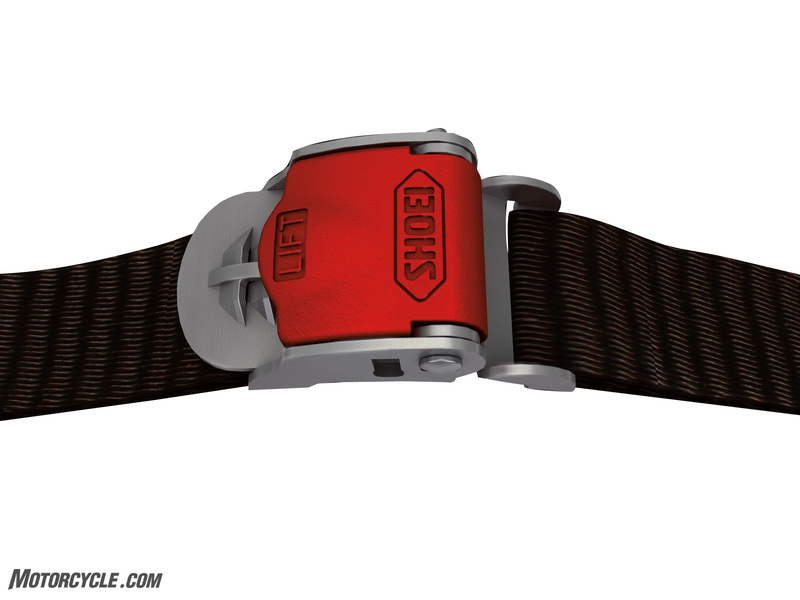 The four-point strap system allows the Speedpack to be strapped to nearly any motorcycle giving it universal applications. Detachable side bags, reflective accents, and a semi-rigid structure make the SW Motech Speedpack a great all-rounder for those looking for as much storage as possible. The Speedpack retails for $452.95. The post Best Waterproof Motorcycle Luggage appeared first on Motorcycle.com. 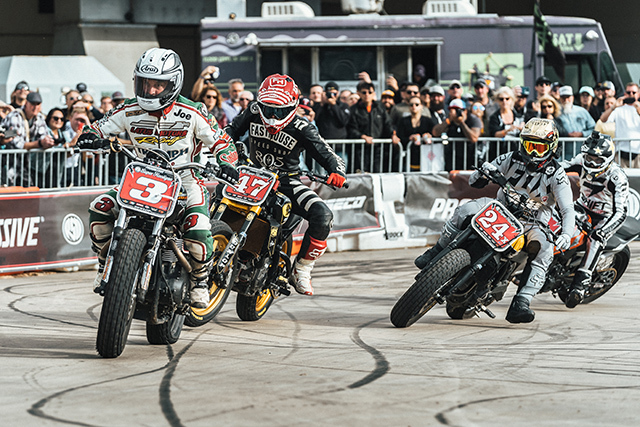 Austin, Texas, that is, where the annual Handbuilt show coincided with the US MotoGP at Circuit of the Americas. 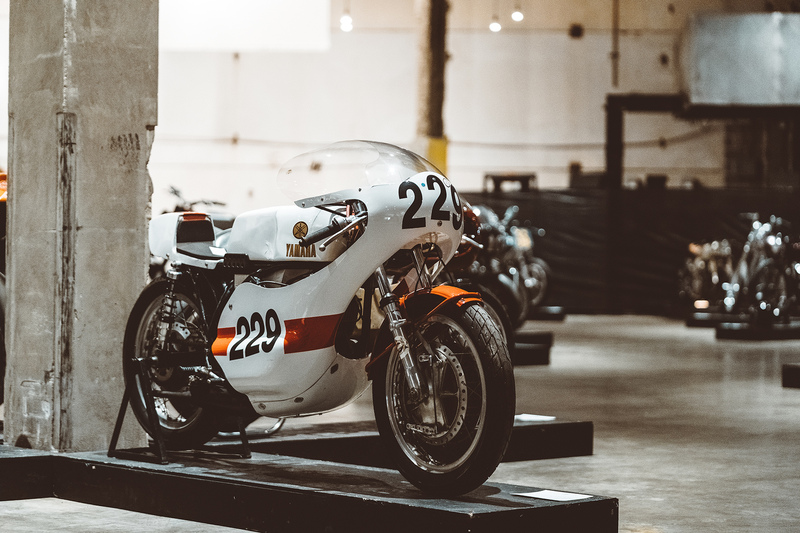 I didn’t make it out to the GP, but I did make it to the unveiling of an exciting new BMW, onto a tour of Revival Cycles and into their shop on Congress St. (above), into the Handbuilt show, and all over some delicious cuts of Texas cow at a couple of swanky restaurants. Austin is everything you’ve heard. If you live in California and are considering the move, I recommend you do it immediately. Hey, I’ve been on the road a lot lately, and all that time on airplanes makes you appreciate a nice, clean well-appointed bathroom. We’re totally done up in here in ’70s car, bike, and girlie magazine wallpaper. 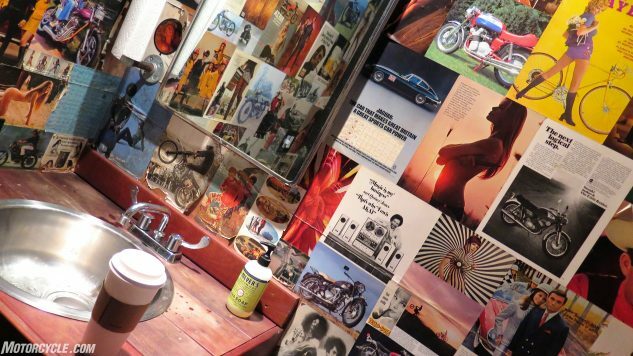 Inspiring and relaxing, the only thing we’re lacking is the Toto Washlets that spoiled me everywhere in Japan when we went to ride the new Katana last month; I fear the Washlet may be the #1 reason why the Japanese have become such an industrially complacent people lately. Anyway, the cleanliness and attention to detail paid to the whole work environment would allow me to entrust my precious vintage motorcycle to Revival (if I had a precious vintage motorcycle). I didn’t remember to ask if this is or was really His Kevness’s 916, but I wouldn’t be surprised if it is. One night when Revival’s founder was tearing his hair out looking for big tires to go on the Birdcage (see #2 below), Schwantz dropped by the shop. 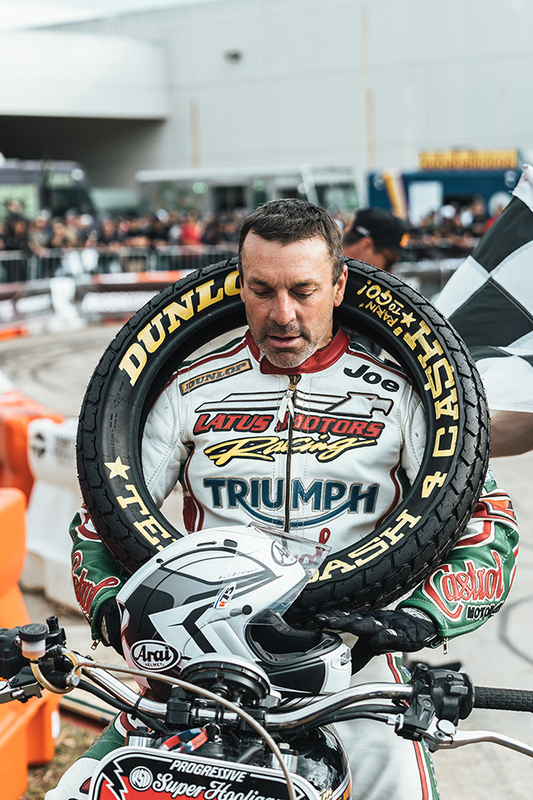 With a quick phone call to his old friend Mike Buckley at Dunlop, Kevin caused a pair of prototype 23-inch tires to magically appear four days later. Perfect. Everything in here says, “you’ve arrived,” but only if you’re kind of a geek and the time of arrival was circa 1974. Motorcycles in the office, stacks of vintage McIntosh stereo gear and a lovely wet bar not suitable for publication in a family motorcycle website all make for a happy workplace. Reportedly, consulting the wet bar a few times led to the mental breakthrough that resulted in the Birdcage prototype’s final form: The back ridge had to be symmetrical, but not the rest of the ’cage. 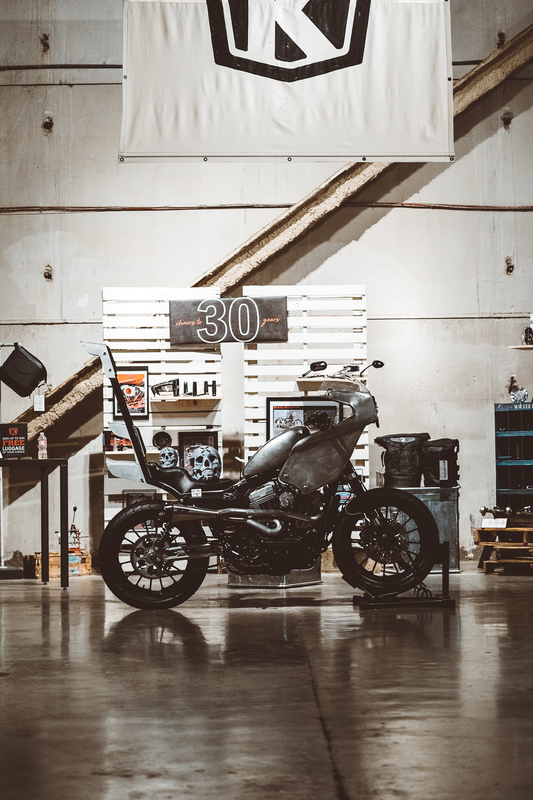 After touring Europe for a while, blasting along the autobahn at 90 on a KTM single, he came back to Austin and decided to take the plunge and open a small bike shop. 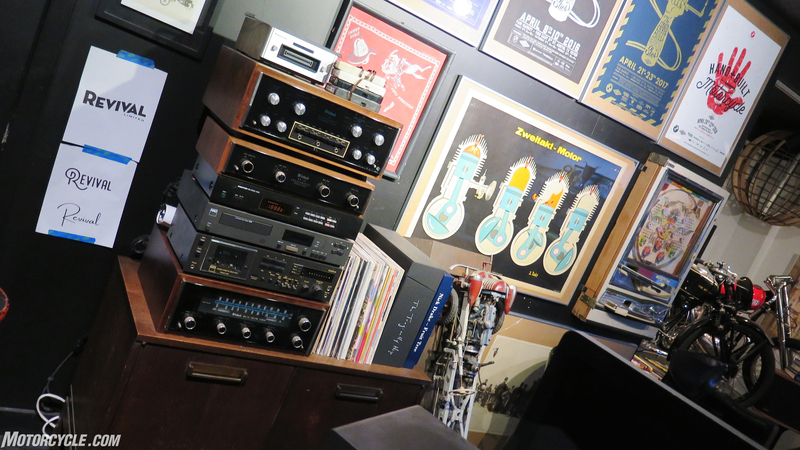 From there, the shop just expanded – no doubt due to the attention to detail you see everywhere you look in Revival. Are Brough Superiors considered nerdy? There are two of them at Revival right now. 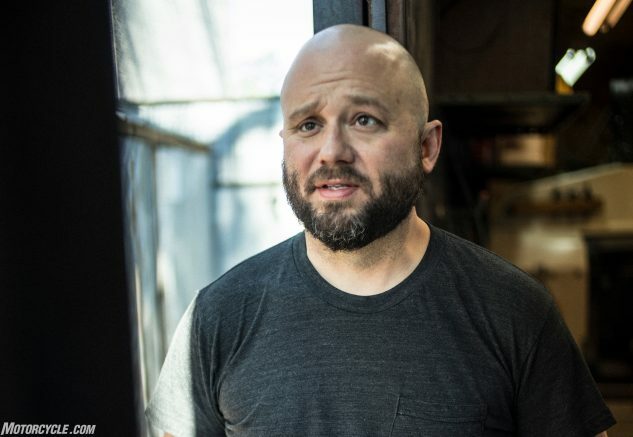 Now Revival employs 23 people, including a couple upstairs in the leather goods department. 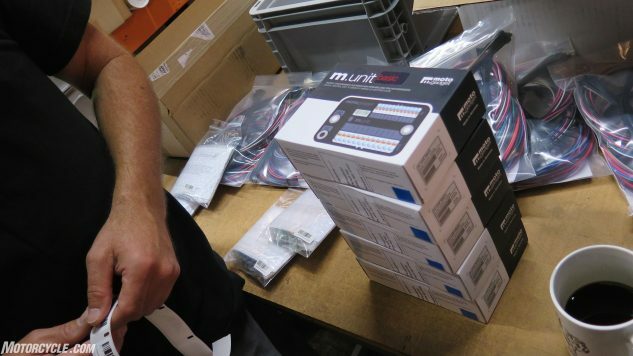 Meanwhile back in the online store, Michael Mallett’s biggest seller is the Motogadget M-unit blue electrical controller, that’ll turn your old CB-whatever into a modern motorcycle. Electric-wise, at least. Nerdy but smart. It’s amazing to see what the professionals come up with, but I’m usually even more impressed with what people working on a limited budget can do with just their imagination. 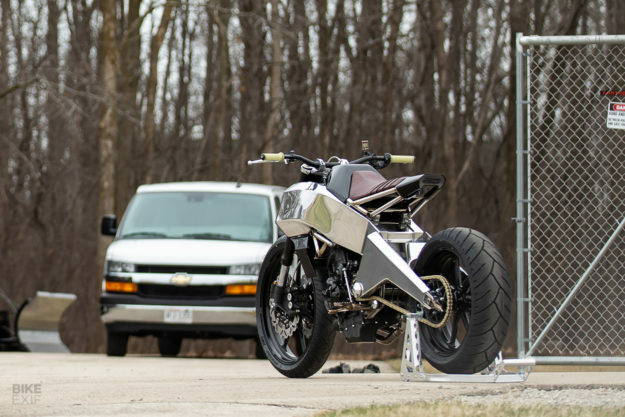 Case in point: this Buell Blast Liviu Alexandru Maslin (desmobibu on Instagram) built in his Chicago apartment, just after moving there from Romania. Total cost for the build was less than $10k says Liviu, including the front end he had built to his specs by Chassis Design Co. Truly, a poor man’s Supermono. Hariomoto’s Hario started out cheap, anyway, as an ’82 Yamaha 920 Virago, before becoming a bit more involved than first planned. 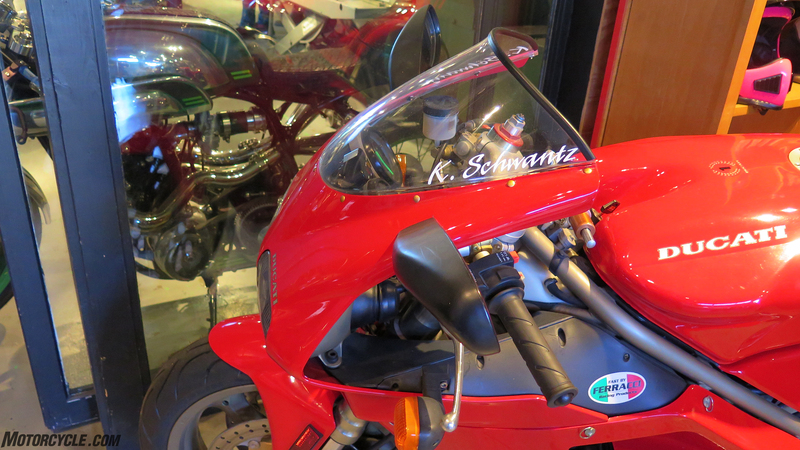 Major upgrades include an XJR1200 gas tank, GSX-R fork, R1 brakes and swingarm, etc. Read all about it here. 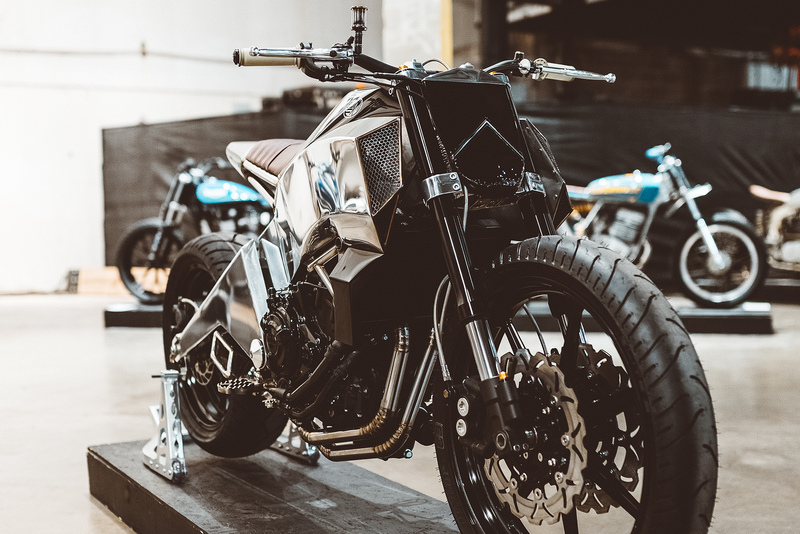 This isn’t the first TZ750 dirt-tracker Jeff Palhegyi has built, but it might be the first one with a handbuilt frame, along with many other custom touches. 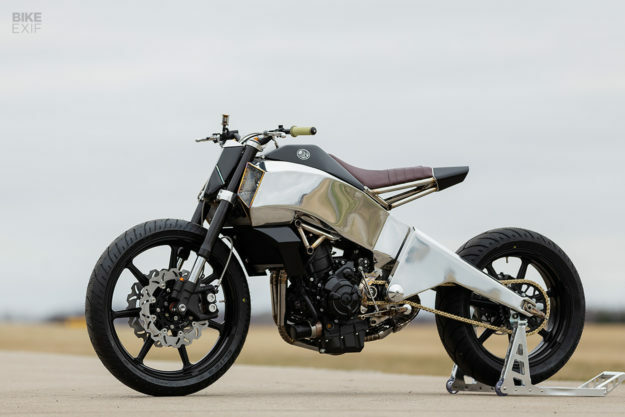 It’s almost as cool as an XSR700. 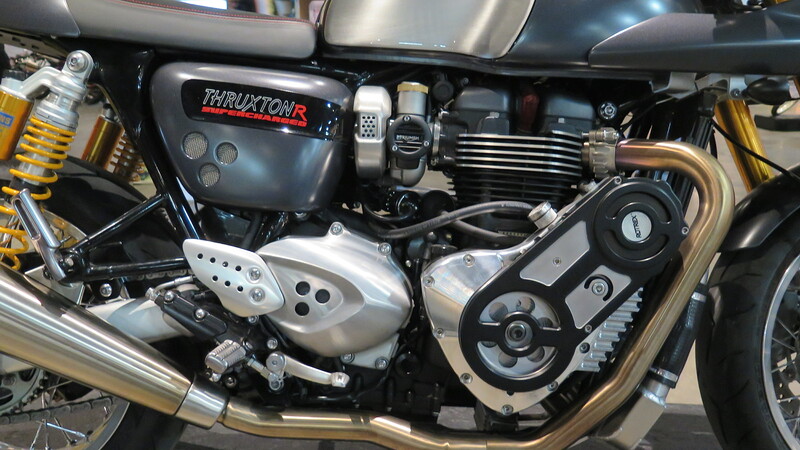 I don’t actually know if Boris Loera is a professional or not, but the Rotrex supercharger on his Thruxton R looks that way. The bike went from 96 hp and 82 ft-lbs to 156 and 132. Interesting. … certain design elements of which, including the cross-frame handshifter, found their way onto (into?) the Birdcage. Texas ones are sublime, whether grilled, barbecued or simply admired from an airplane. I was too busy eating to shoot photos, though, so this is Miyazaki beef from Japan last month. 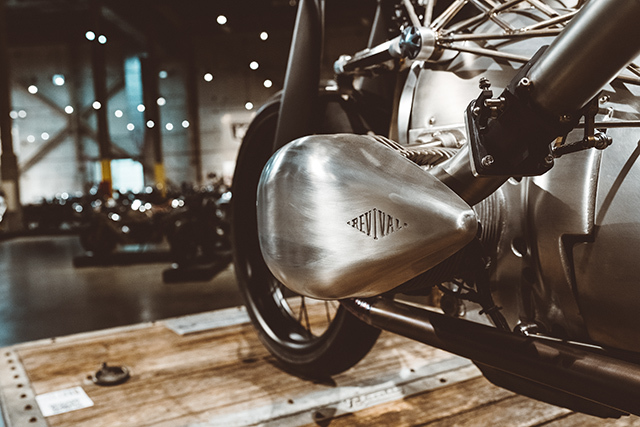 Spanning the globe to bring you the latest motorcycle news. Late-ish. What the?! The RK Bearing Bike from RK Concepts made me have to hit the bar to settle my nerves. 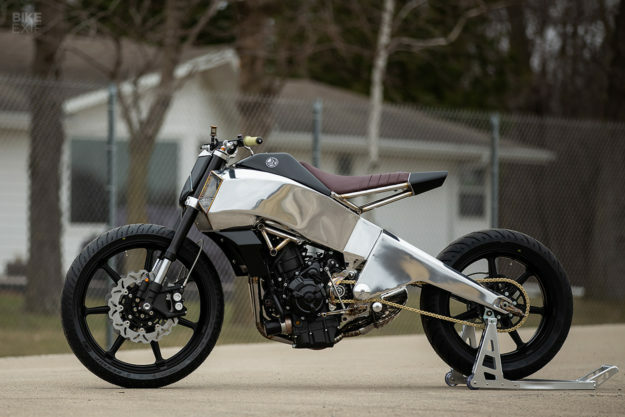 I think what’s going on here is that the rear suspension is mounted to the outer race of the main frame bearing, and the front attaches to the inner bearing race – and both play off of each other via that expensive Swedish shock on top. 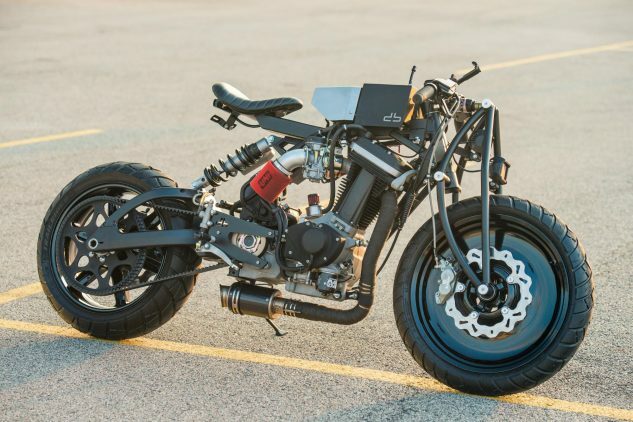 Naturally, it’s powered by a practical CR500 Honda two-stroke; seat by Freddie Krueger. More information is difficult to come by at this time. Maybe it’s better that way. Full disclosure: BMW sponsored my trip to Austin. But even if they hadn’t, I would’ve thought an all-new 1800cc boxer engine is a tremendously big deal. Either a stroke of genius or a titanium girder bridge too far. After next year, we’ll know. In case you missed it, we already speculated wildly about the new BMW engine here. I don’t ever hope anybody crashes, but when they do I hope it’s Marc Marquez. This one was triply enjoyable, as he highsided picking the bike up postcrash, Laurel & Hardy style, then fell off a third time trying to restart the Honda – all after crashing out of a big lead. By this time I was back home on the ancestral couch, and Modelo Blanco shot right out my nose. Oh, who’m I kidding? I hope Marquez crashes some more this season, and Valentino makes it to championship #10. Without hurting himself of course. Or anybody else. 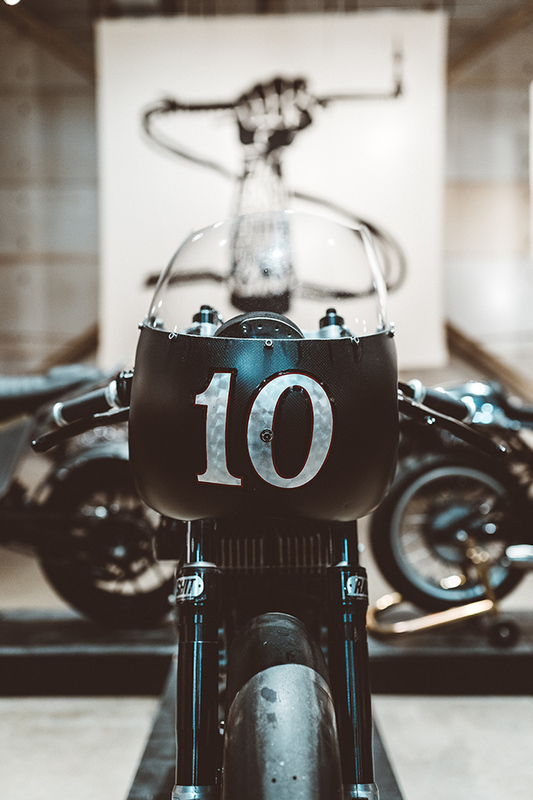 The post Top Ten Things in Texas Last Weekend appeared first on Motorcycle.com. The Austrian, 59, who had two spells at Ferrari during a career in which he won 10 races, said the team should be allowing the drivers an "open game". "Much as I like Sebastian and rate him, here is a boy [Leclerc] who is capable of winning the championship," he said. Ferrari have tried to employ team orders in all three races this season. They have based their policy on a belief that Vettel, as a four-time champion, is more likely to emerge as their title contender this season than Leclerc, who is in only his second year in F1. Team boss Mattia Binotto has said that Vettel will be favoured in "50-50 situations" but said at the last race in China that the situation could change. But Berger, who was team boss of Toro Rosso when Vettel scored his maiden victory at the 2008 Italian Grand Prix, said: "I don't think it's enough to say, 'Well this one is experienced, this one is not experienced so we take the card of the experience'. I think let it run." 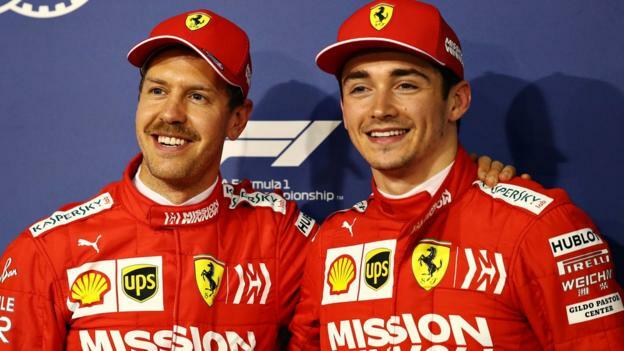 Leclerc is one point behind Vettel in the championship despite being told to stay behind the German in the closing stages of the Australian Grand Prix and ordered to hand over third place to him in the last race in China. Ferrari also told Leclerc to stay behind Vettel for two laps in the second race in Bahrain when the 21-year-old from Monaco was recovering after losing pole position because of a poor start. Leclerc ignored that order and took the lead from Vettel a few corners later. Leclerc was quicker than Vettel in Bahrain and would have won there had he not suffered an engine problem with 10 laps to go. Even so, he still beat Vettel, who harmed his own chances by spinning after being passed by Mercedes' Lewis Hamilton, who went on to win after inheriting the lead as a result of Leclerc's problem. Leclerc salvaged a third place while Vettel was fifth. Hamilton is already 29 points clear of Vettel in the championship - more than a clear win - after just three races, in all of which Mercedes have scored one-twos. Vettel's error in Bahrain marked the fourth time he had spun while racing another car in 10 races. Berger said: "It's a question of when it is [acceptable], and is it really giving somebody not even a chance to win the championship? And if you do it in the first or second race, I don't agree." Leclerc, a Ferrari protege, was chosen to replace Kimi Raikkonen at the team after an impressive debut season for the affiliated Sauber team - now called Alfa Romeo - in 2018. Berger said Leclerc had not been promoted to a big team too soon. "Not at all," he said. "In all cases Ferrari always put the two quickest guys in the car and made sure that the lemon was squeezed to the maximum. "For me that's also the right way to do it... I think it was just the right timing and the right decision." 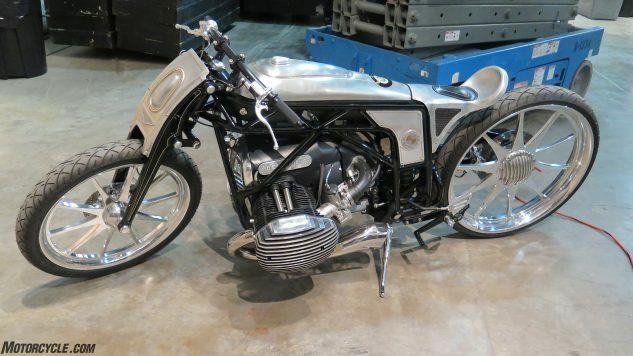 There are many ways to visualize a custom motorcycle before actually putting grinder to metal. Some builders start with a pencil and paper, while others use Photoshop or create 3D renders. 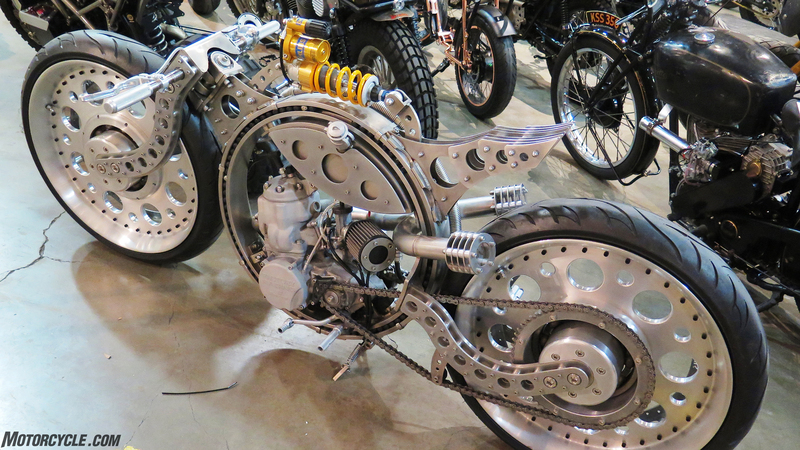 But how about building a 1/10th scale model out of stainless steel? 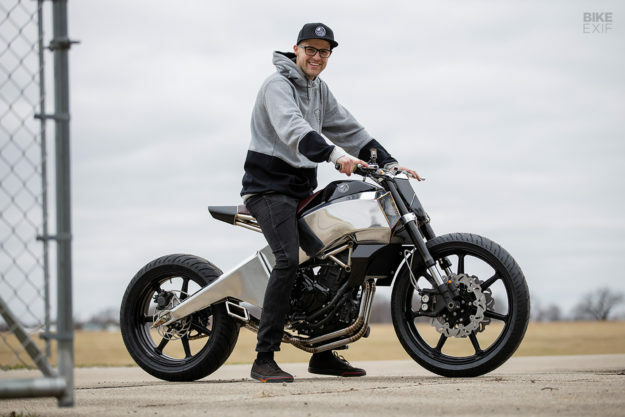 It sounds crazy, but that’s how Jake Drummond conceptualized this show-stopping Yamaha MT-07, dubbed ‘The Omen.’ Jake’s only twenty-five years old, and lives in Oshkosh, Wisconsin—but his whole life has revolved around design and engineering. His dad is a motorcycle-obsessed pilot who also rebuilds airplanes—so Jake spent countless hours helping out in the hangar as a kid. 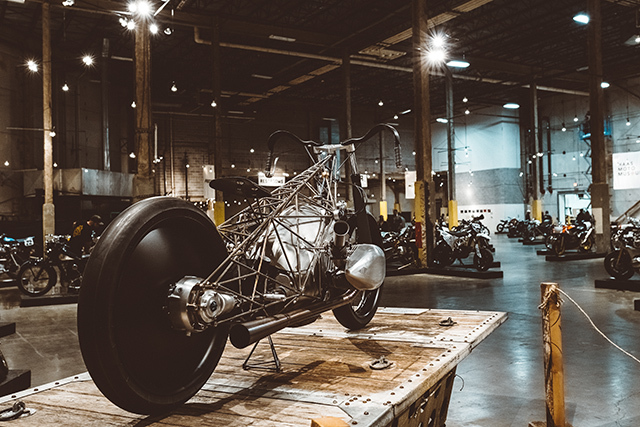 He built his first custom bike at seventeen, got a job at a kit aircraft manufacturer right out of school, and eventually studied mechanical engineering. From this daydreaming, Jake started developing an idea: a perimeter frame design, with one line running from the steering head to the rear axle. Other considerations included functional rider ergonomics, and materials that would create a natural contrast between the various shapes. Before buying the donor bike, Jake decided to prototype his idea. 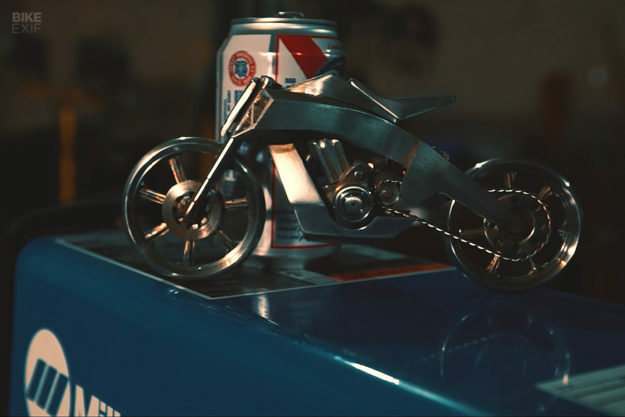 And that’s when he started shaping his scale model out of stainless steel. 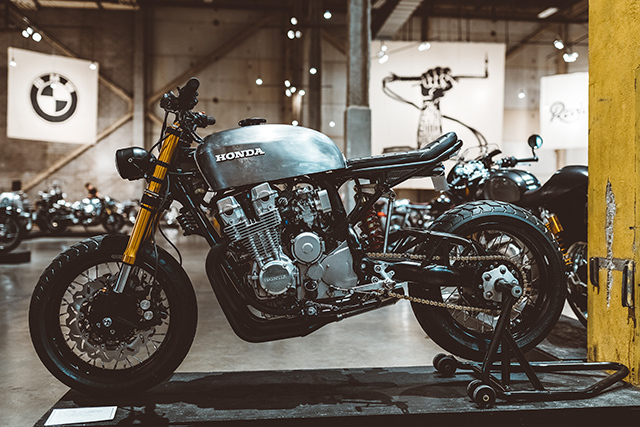 Jake found a 2016-model MT-07 (previously the ‘FZ-07’ in the US), yanked out the power plant, and got cracking. 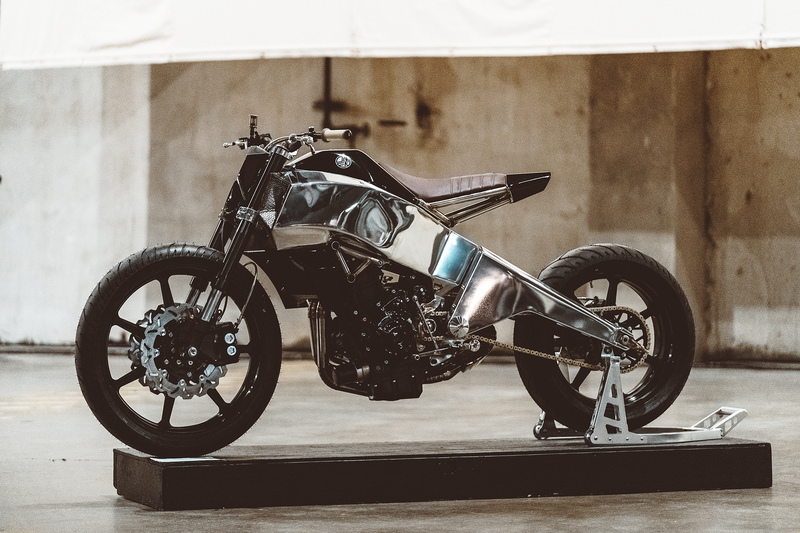 The Yamaha’s 689 cc twin now sits in a hand-shaped, aluminum perimeter frame, that flows down into a custom aluminum swing arm. The engine’s attached to custom-built steel fixings and a forward subframe, and there’s a stainless steel subframe supporting the tail section. Those air ducts up front are functional; they’re covered by hand-made mesh sections, and also have Yamaha R1 headlights hiding inside them. 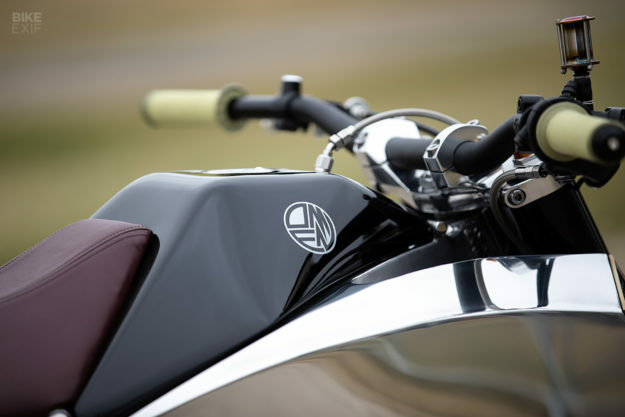 Both the fuel tank and the sharp tail piece are hand-shaped aluminum parts. Jake built an integrated tail light out back, with a custom acrylic lens. The radiator side covers and front number plate are his handiwork too. 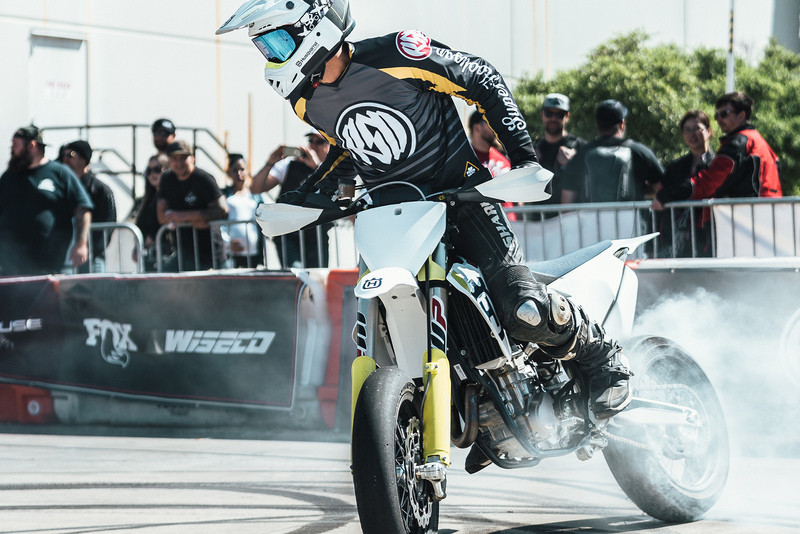 Jake used the Yamaha’s OEM rear shock, but modified the linkage to work with his swing arm. 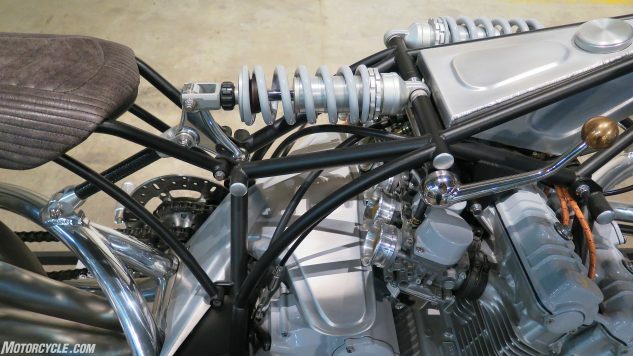 The front forks and triple clamps were lifted from a Yamaha R6. 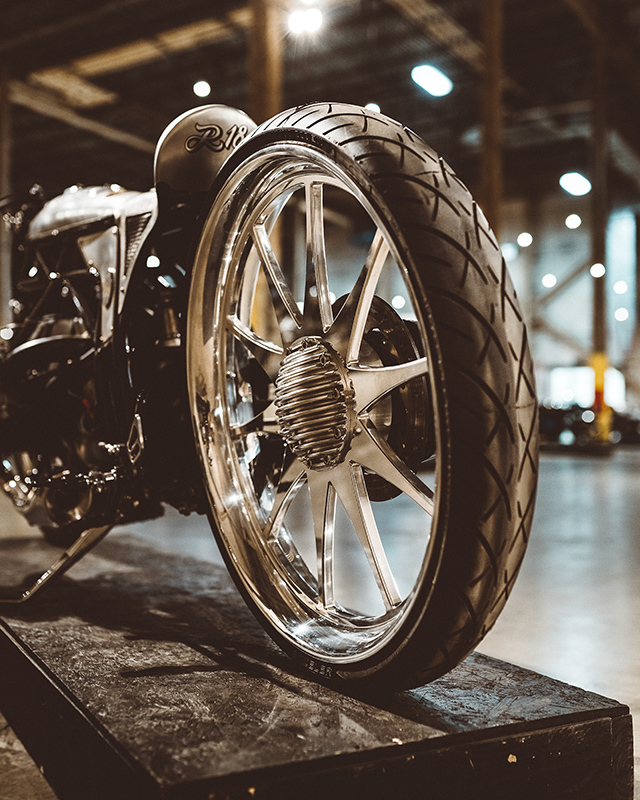 The bike stands rather tall now too, thanks to a set of 21F/18R Morris wheels from Roland Sands Design. For the cockpit, Jake welded a set of hand-made risers to the polished R6 top triple clamp. 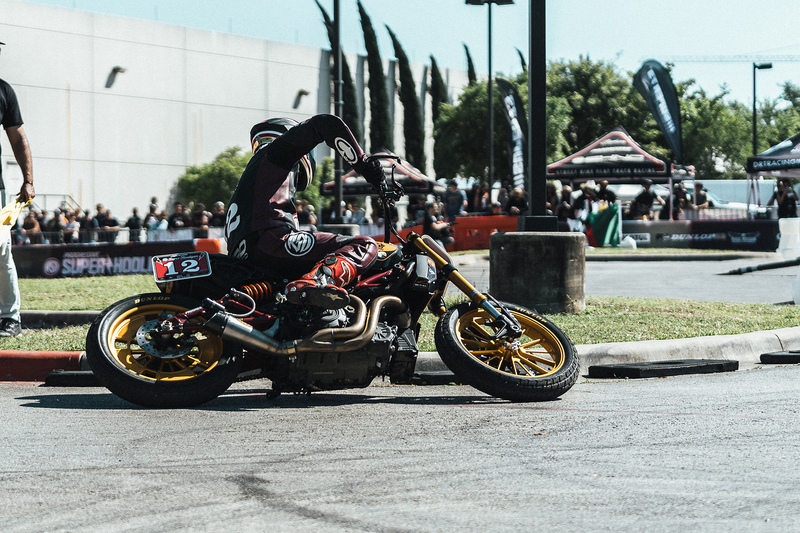 He worked in some motocross cues too, with MX-style foot pegs and controls, ProTaper handlebars, and gripper-like pleats on the burgundy leather seat cover. The brakes are Brembos, upgraded with braided stainless steel hoses. 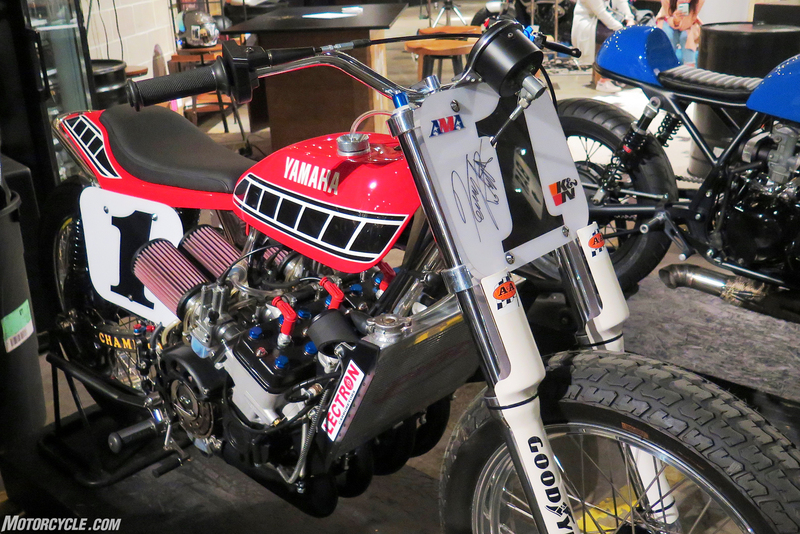 But that’s the end of the off-the-shelf stuff—everything else on this Yamaha was built from scratch. That includes the brake fluid reservoir, swing arm pivot caps, rear axle adjusters, countershaft cover and a bunch of smaller details. 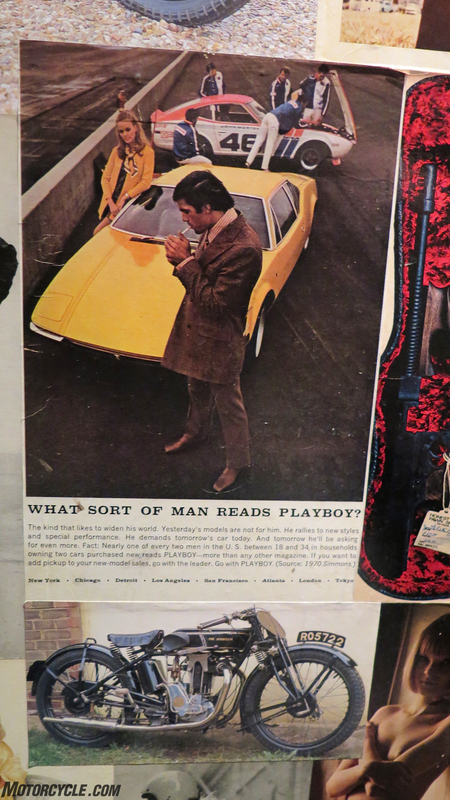 Oh yes, and that glorious stainless steel exhaust system too—complete with its square, side-exiting muffler. 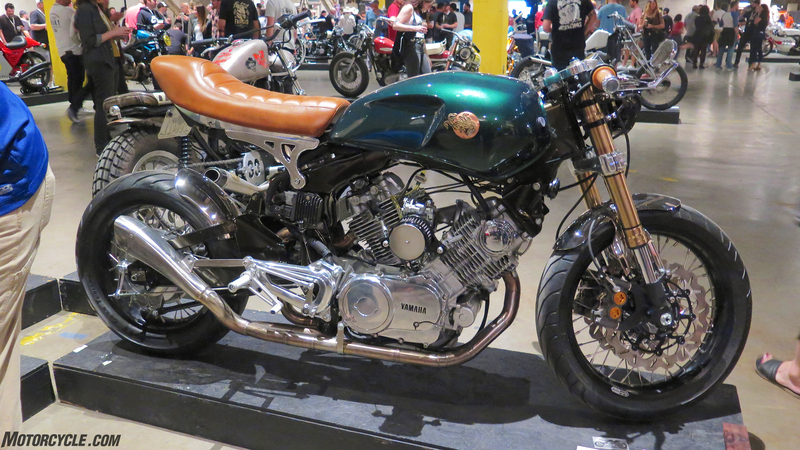 Jake kept the finishes on his Yamaha basic, but striking. The frame and swing arm are polished, but the rest of the bits were painted in gloss black by Blue Moon Kustoms, with a pearlescent ‘Omen’ logo that Jake designed. Every last finish was given attention—like the contrasting triangle in the front number board. 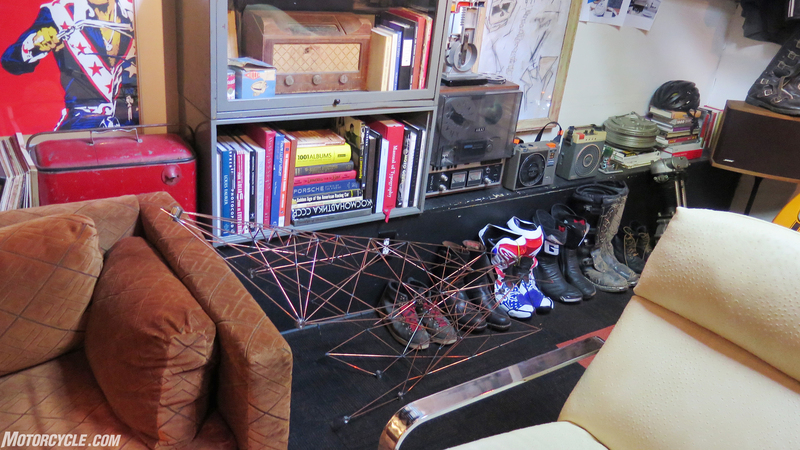 The only thing Jake hasn’t managed to finish yet, is The Omen’s final wiring. 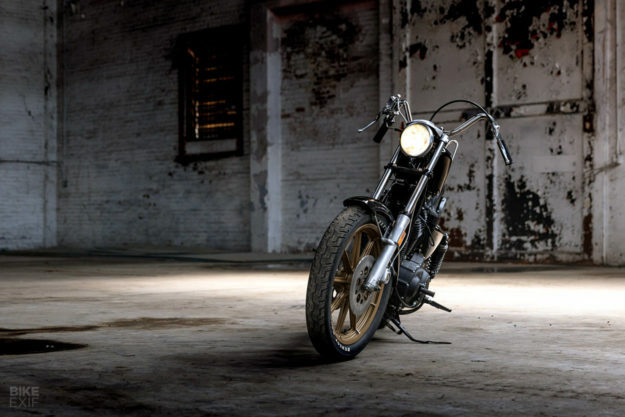 But when he sent us these killer images of the bike, we simply couldn’t keep them to ourselves. 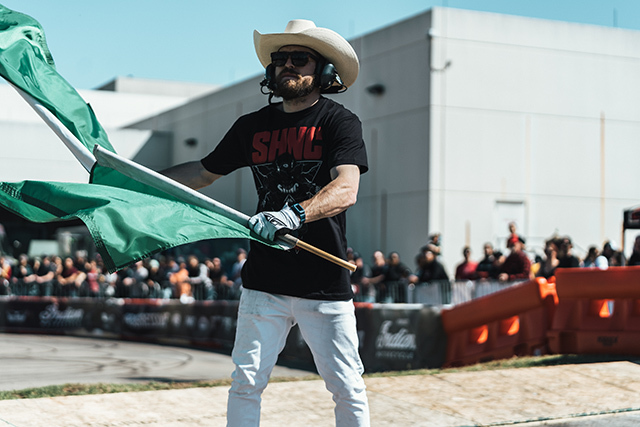 Who feels like cheering Jake over the finish line with us? Jake Drummond | Images by Zach Visser | Thanks to our good buddy, P.J. Grakauskas for the tip-off.